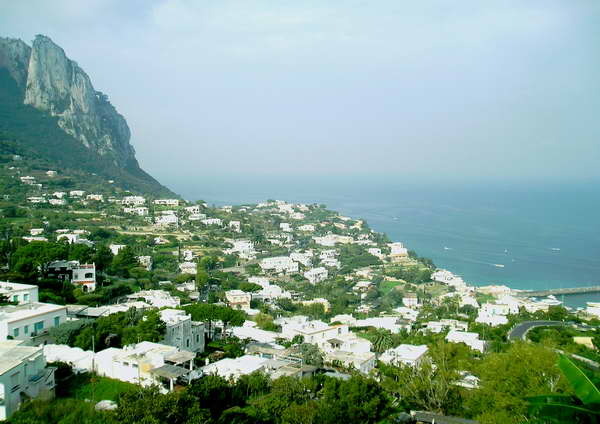 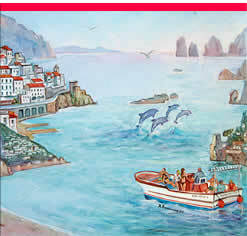 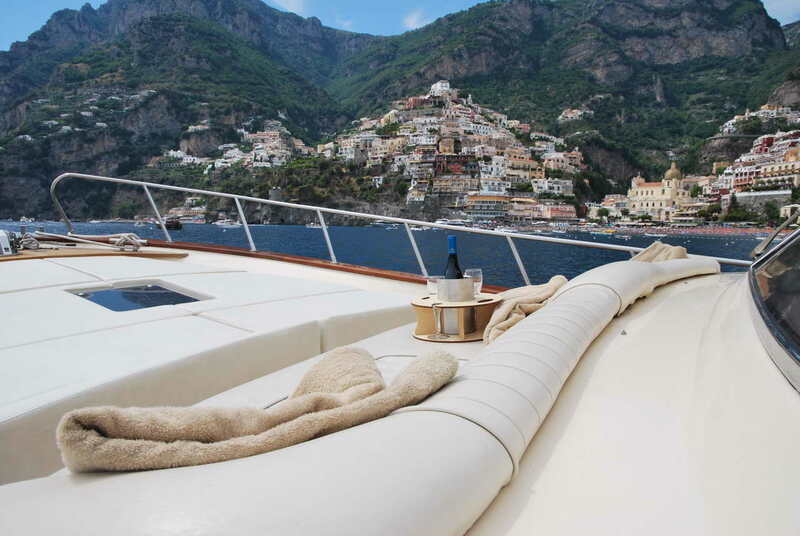 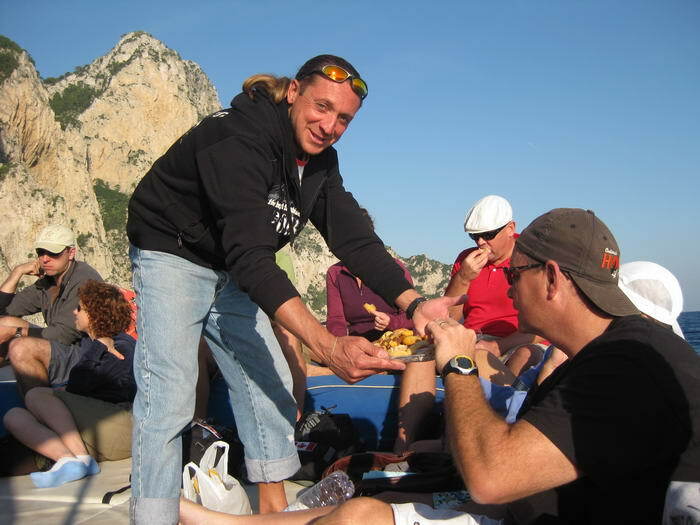 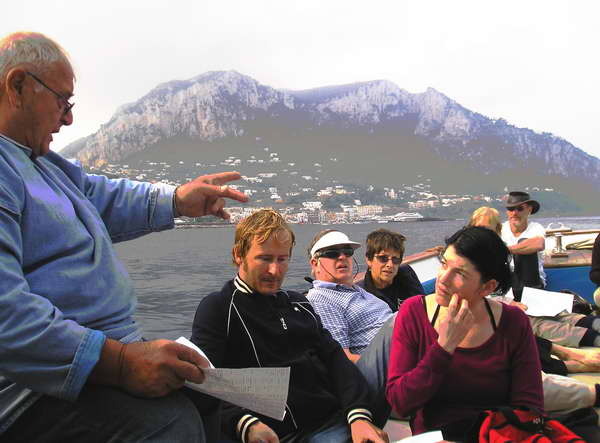 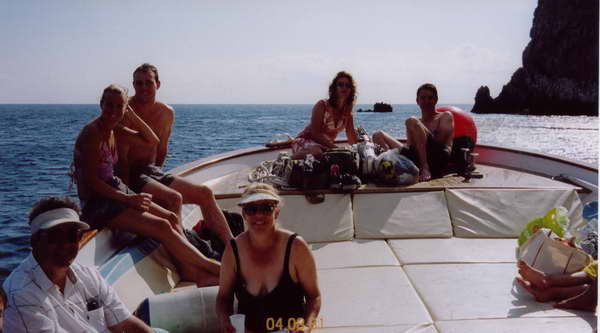 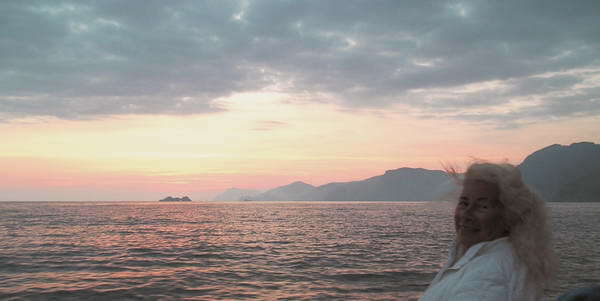 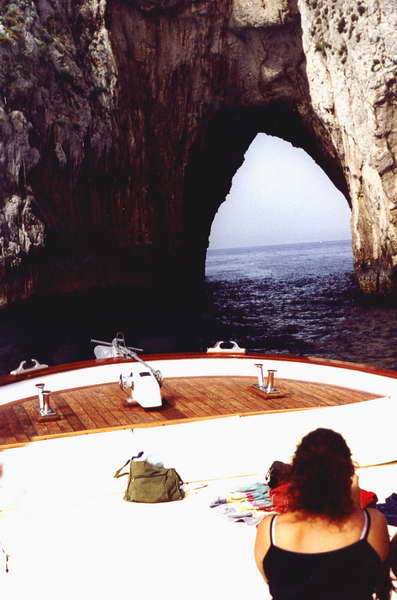 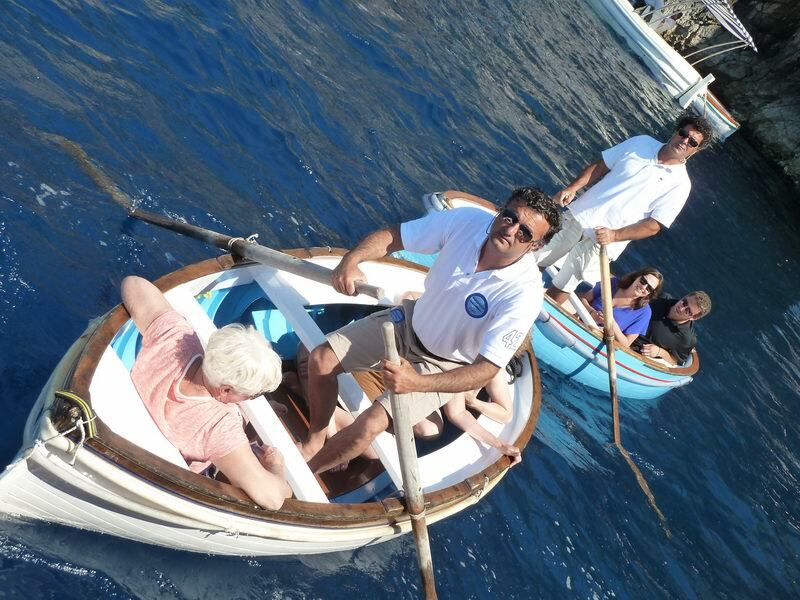 Positano Boat Tours l'Uomo e il Mare: Amalfi Coast, Capri, Galli isle. 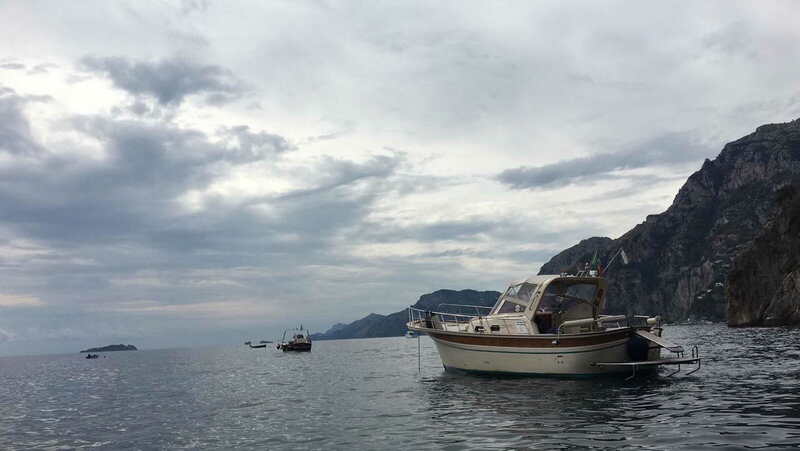 L’Uomo e il Mare hire boats. 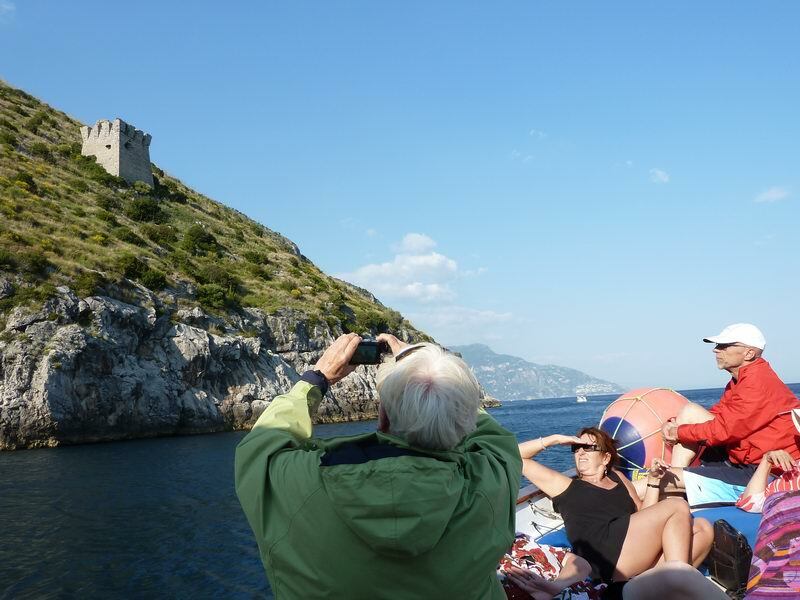 Suggested tours you can do with a hired boat. 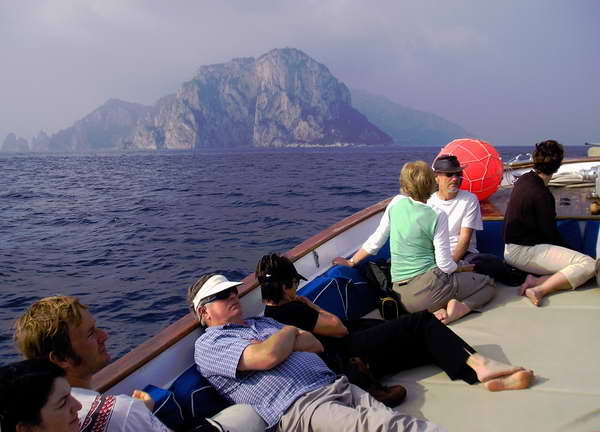 On board of one of our comfortable and fast boats we offer you an unforgettable and personalized day discovering the beautiful island of Capri. 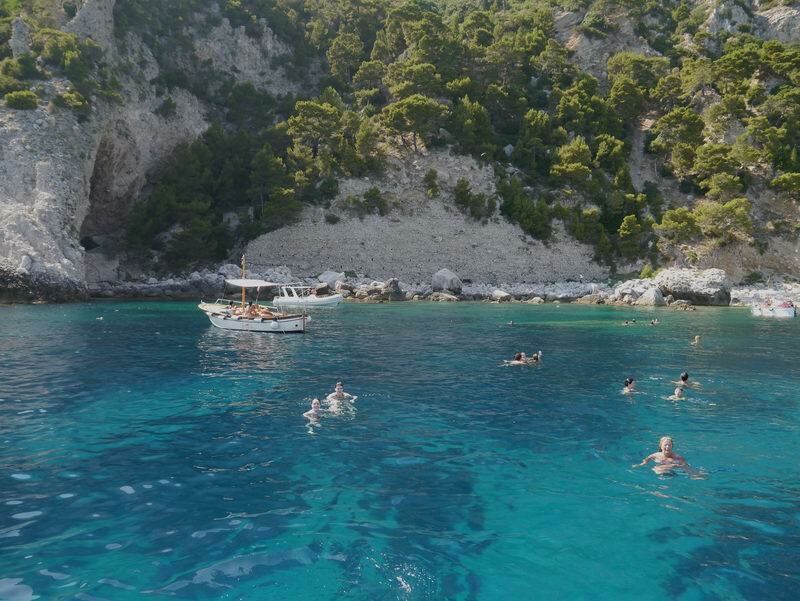 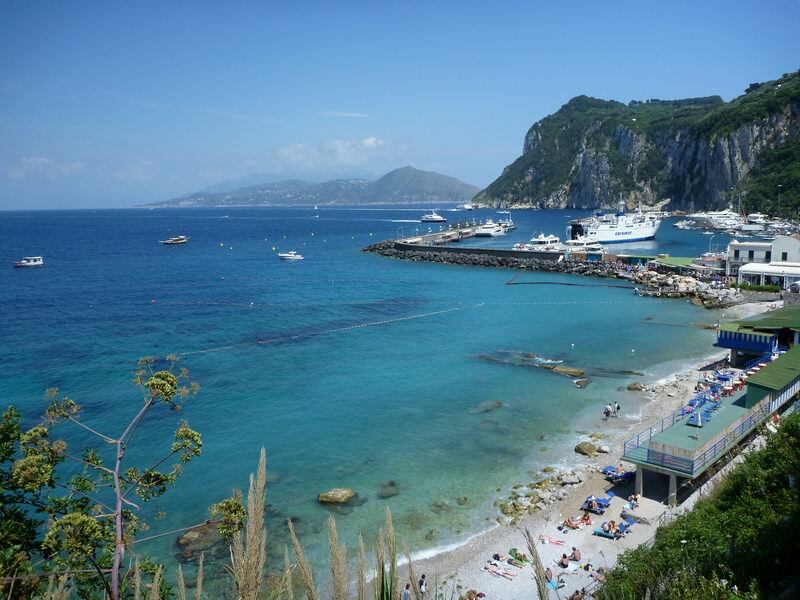 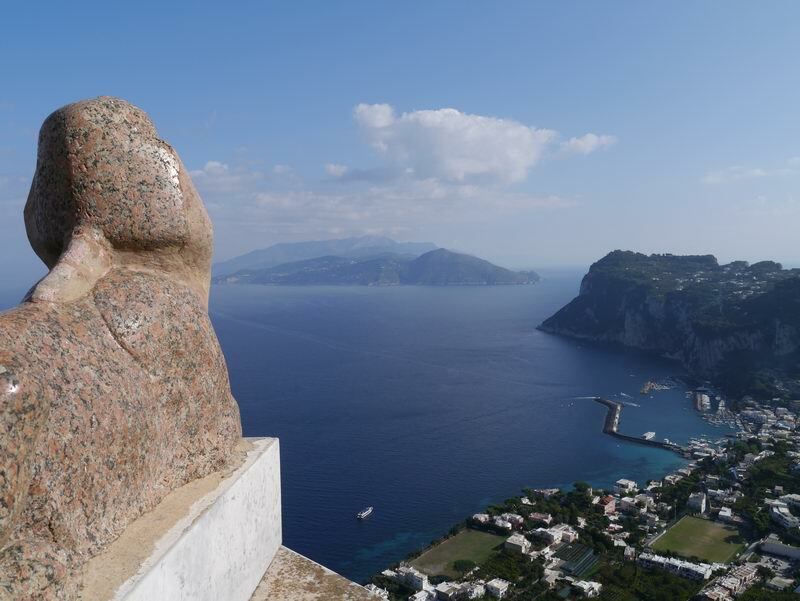 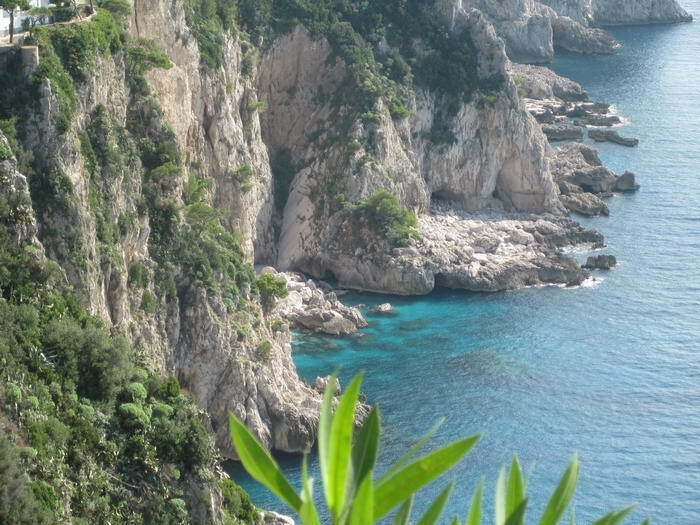 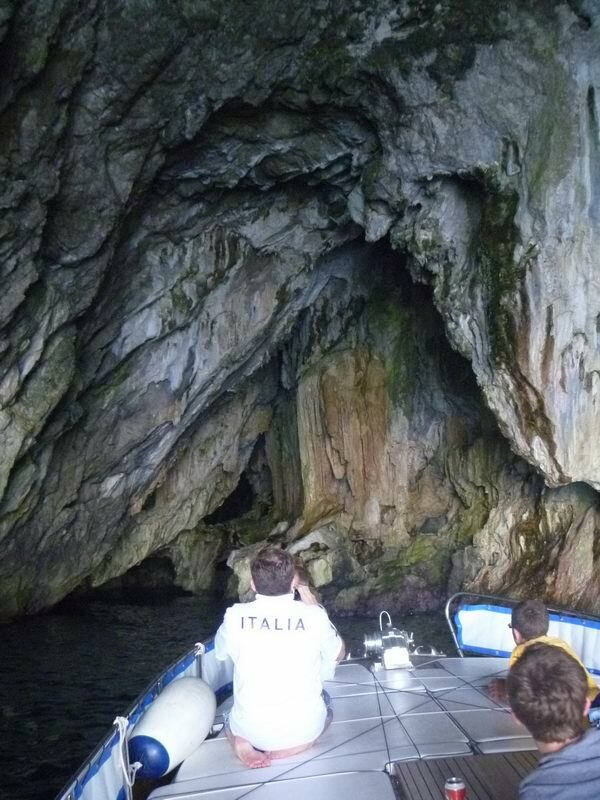 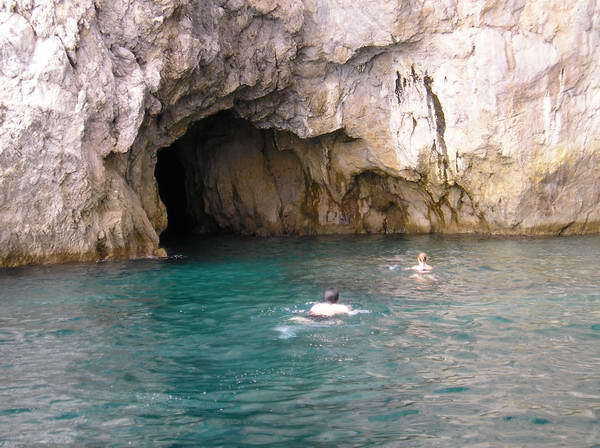 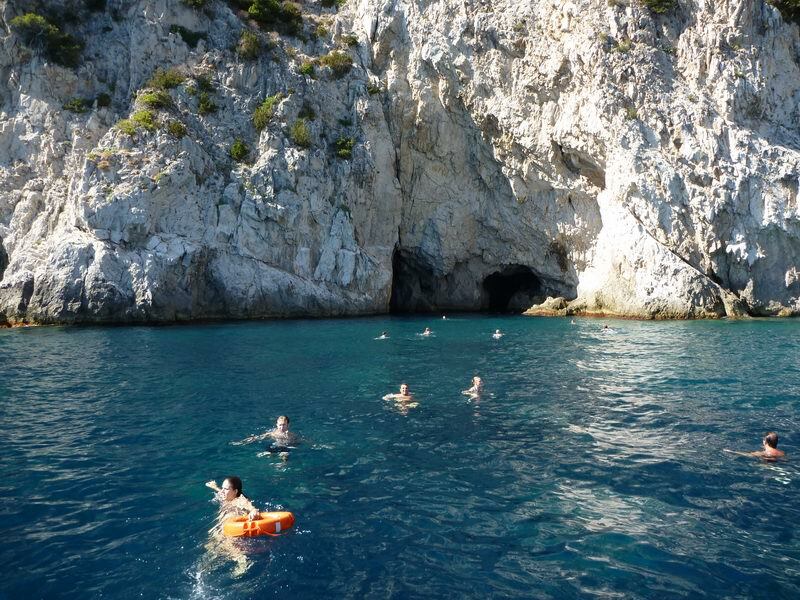 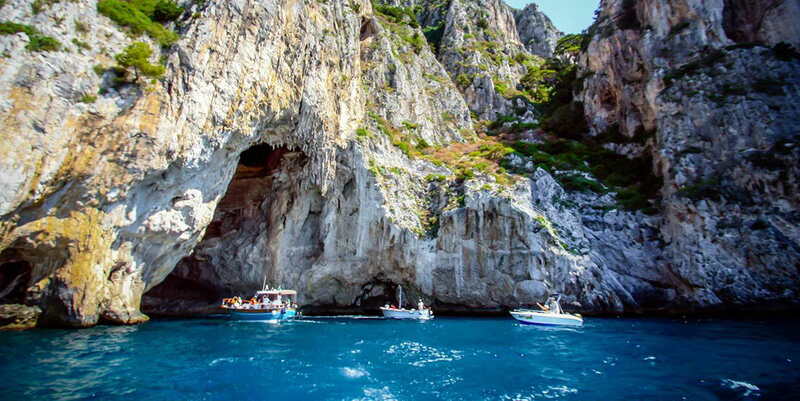 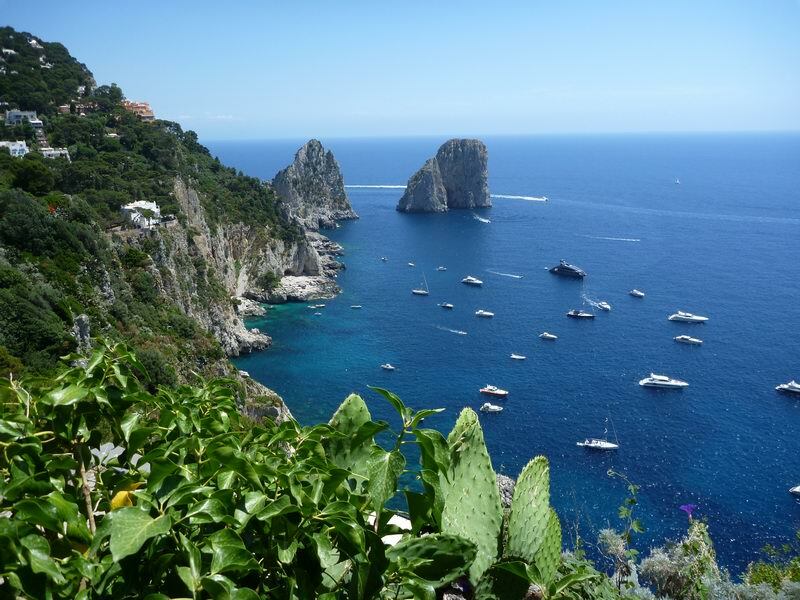 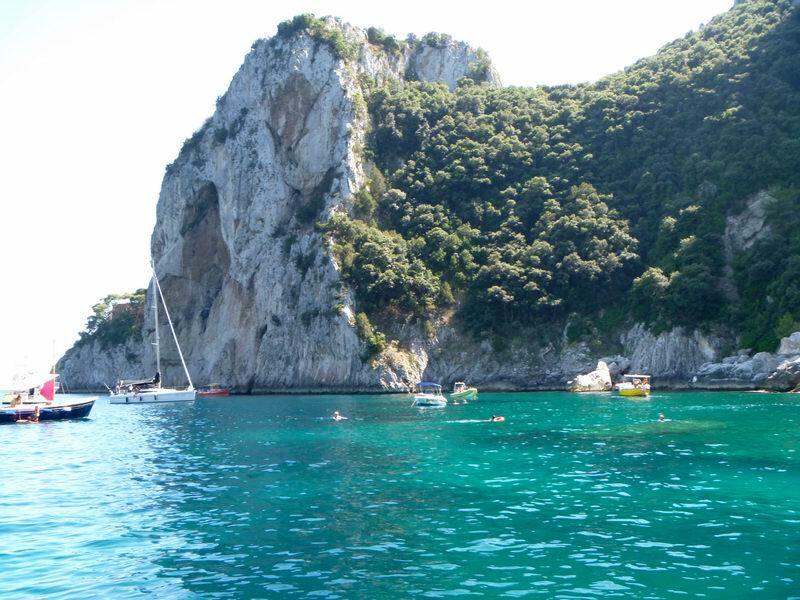 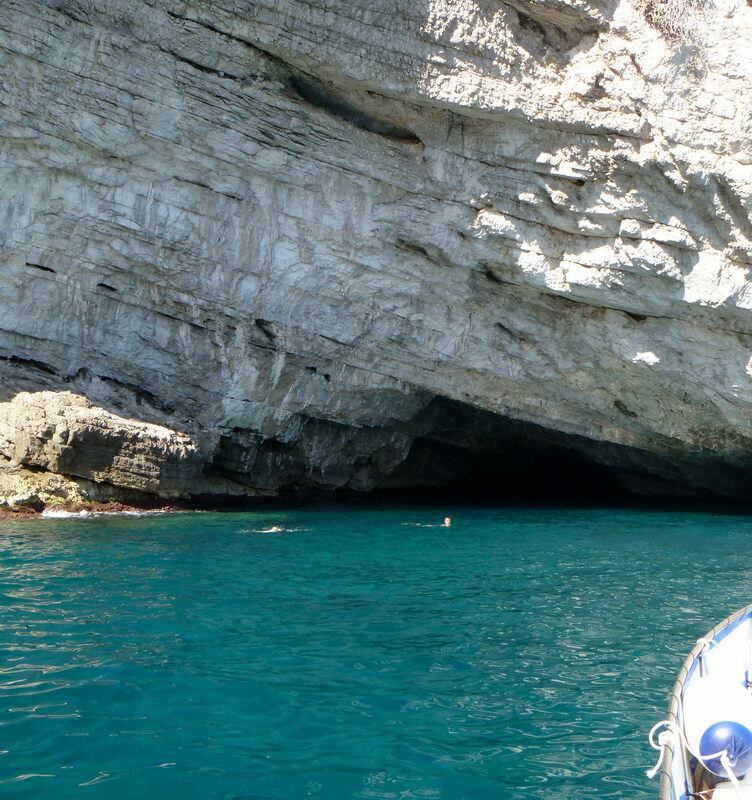 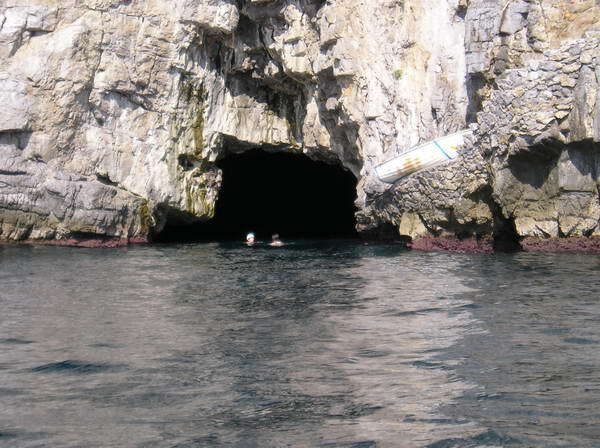 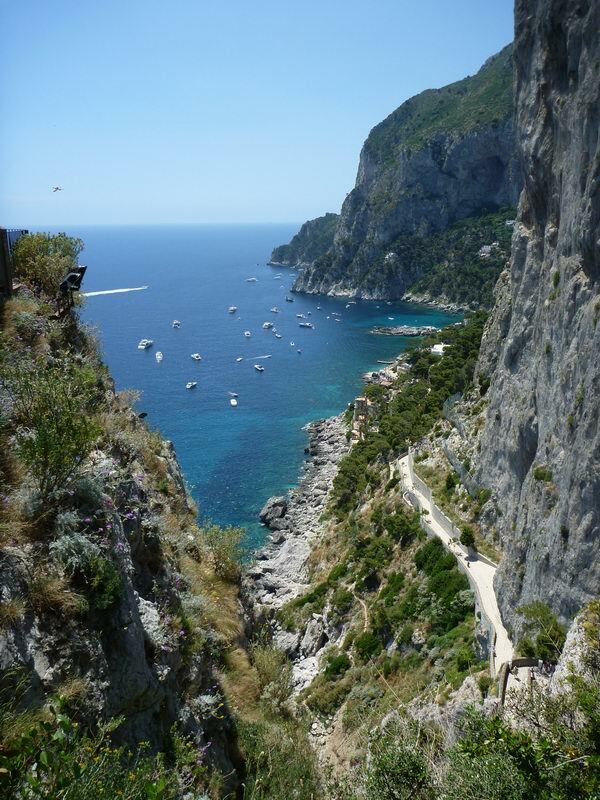 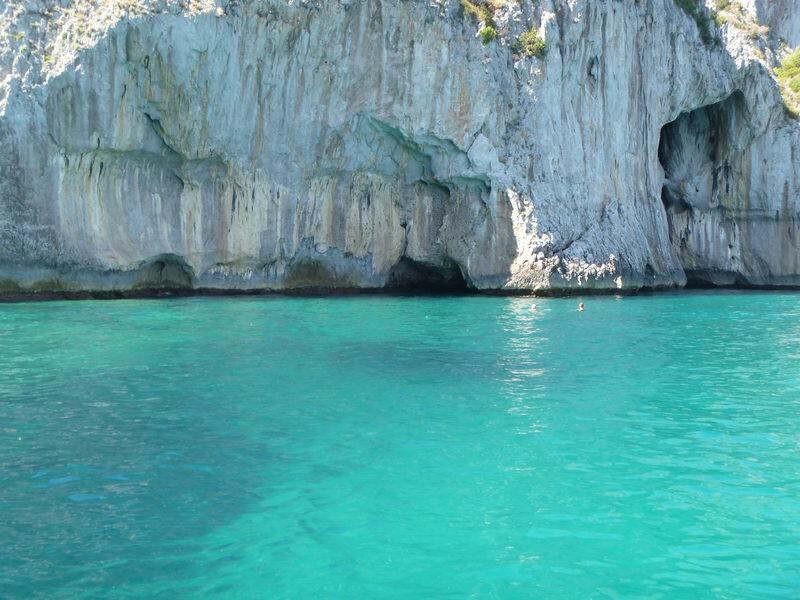 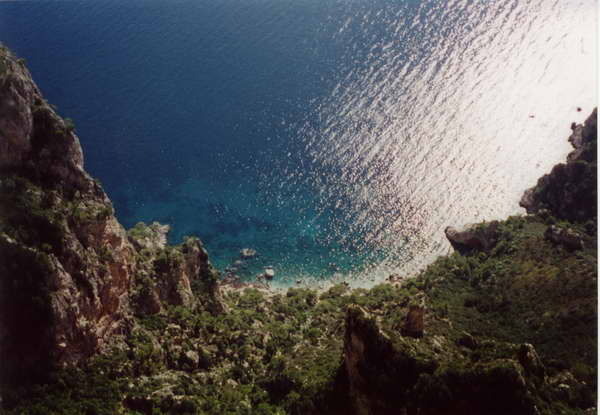 We give you the chance to admire the many caves and bays around Capri at a leisurely pace with various stops to let you swim. 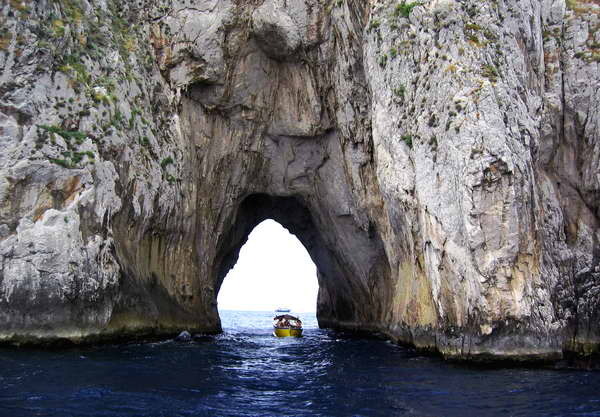 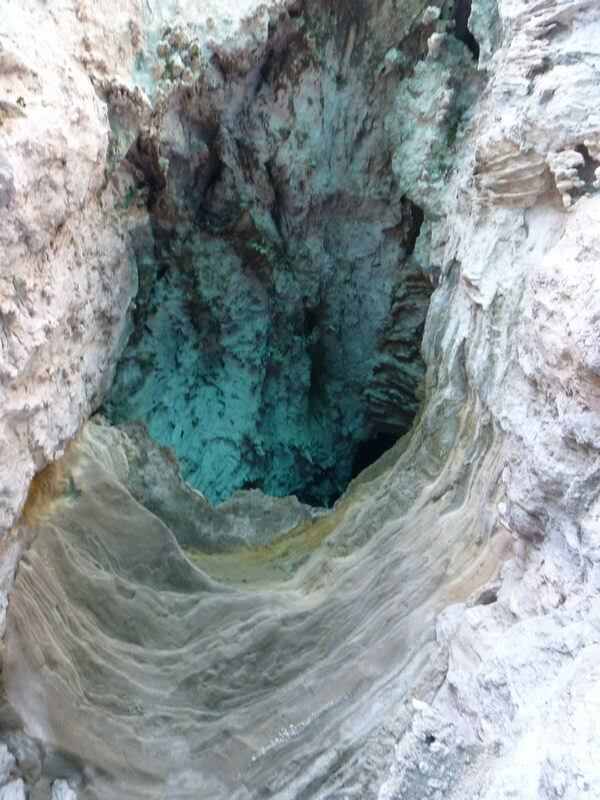 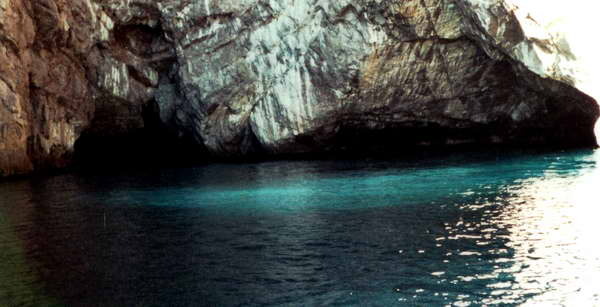 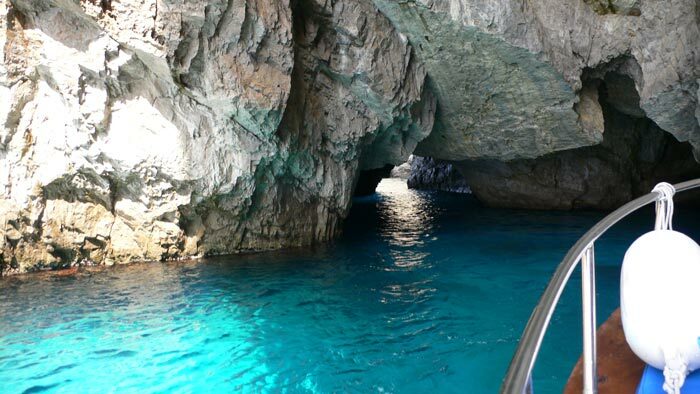 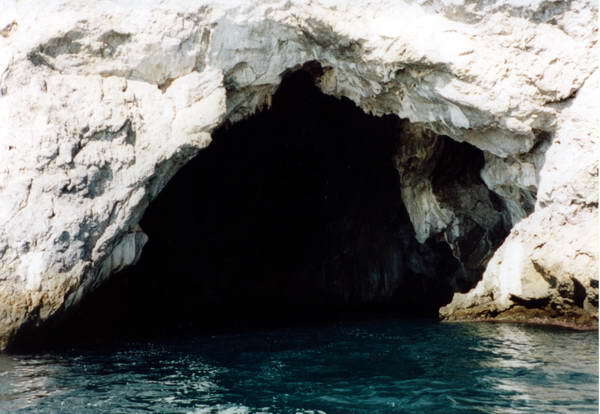 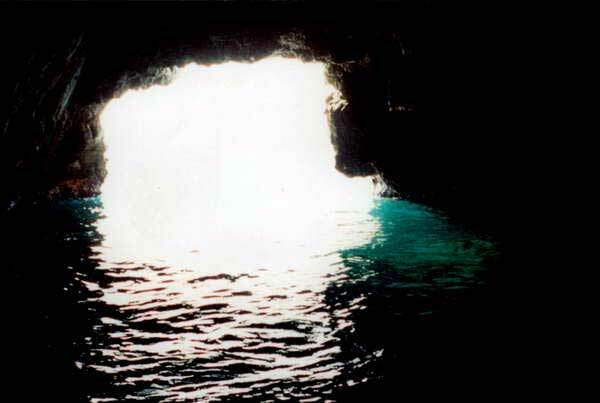 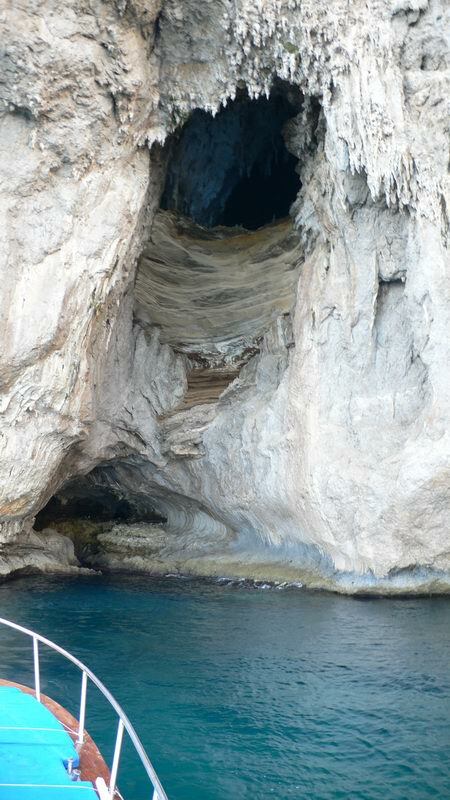 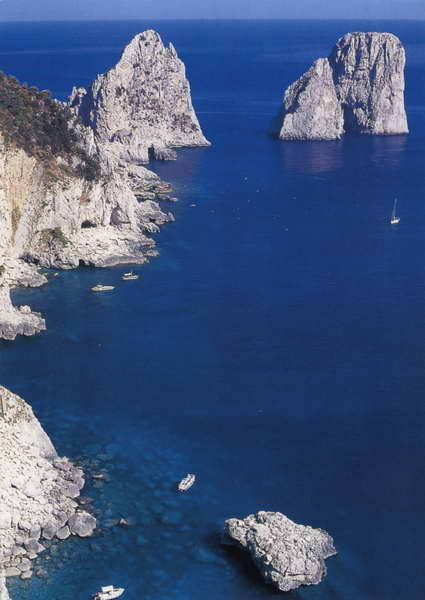 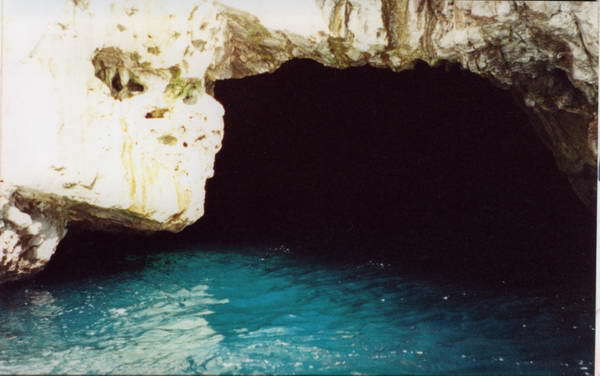 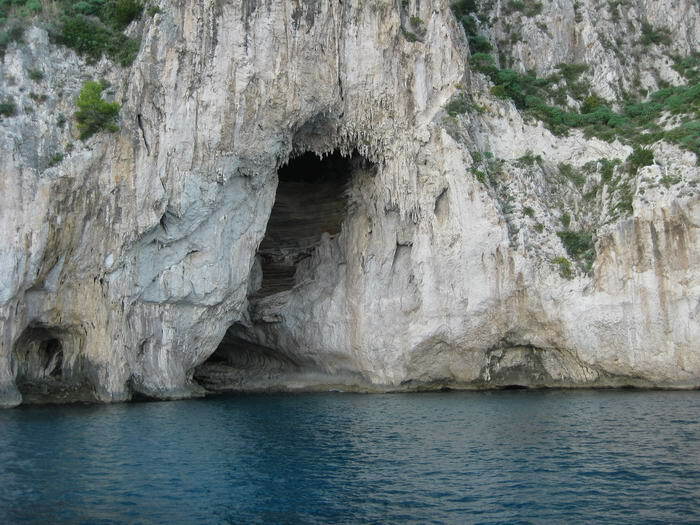 Amongst the various caves that you can see there is the Blue Grotto (visit if desired. 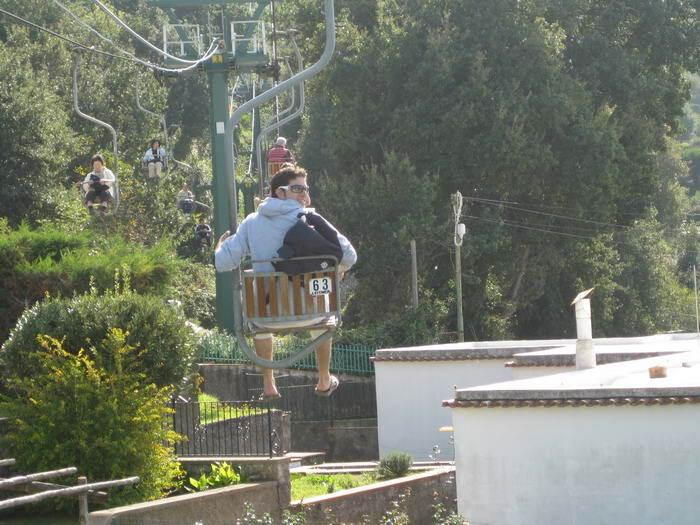 Depending on weather conditions. 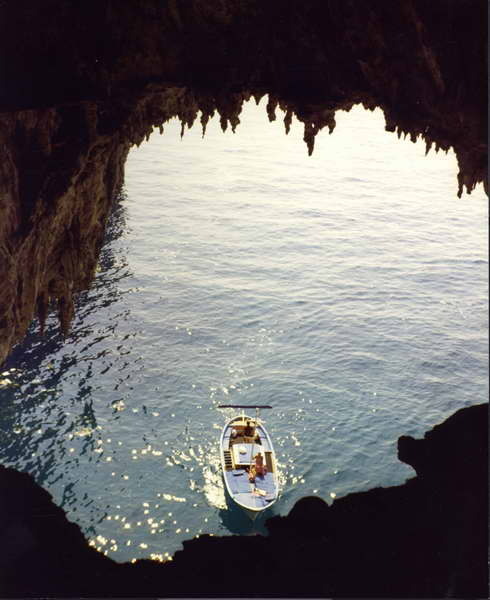 Not included). 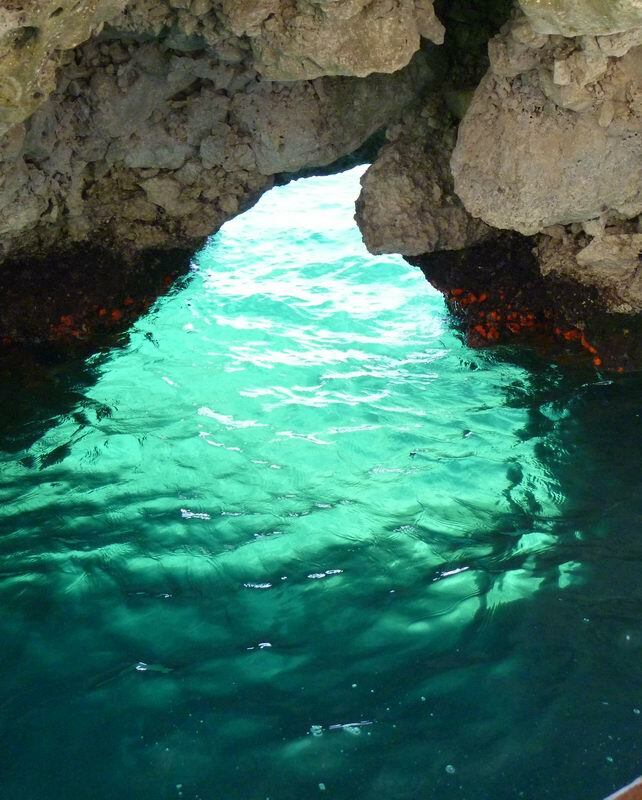 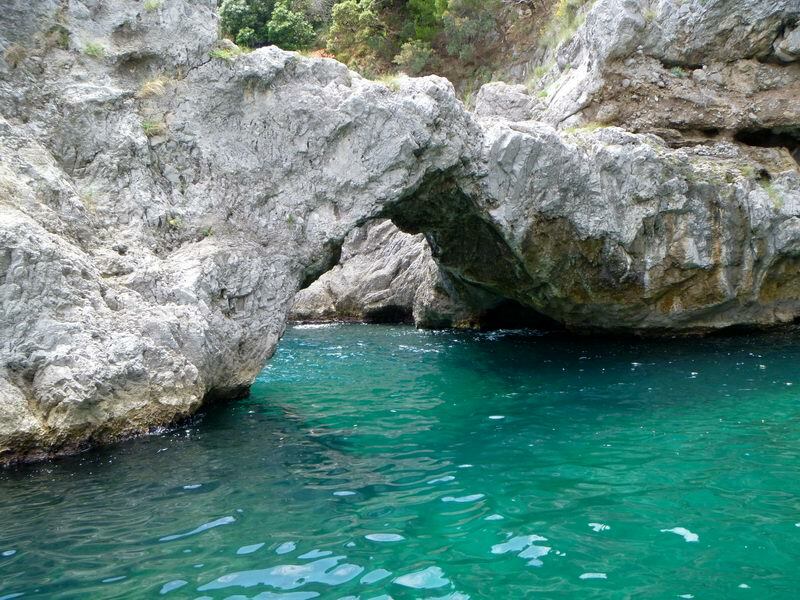 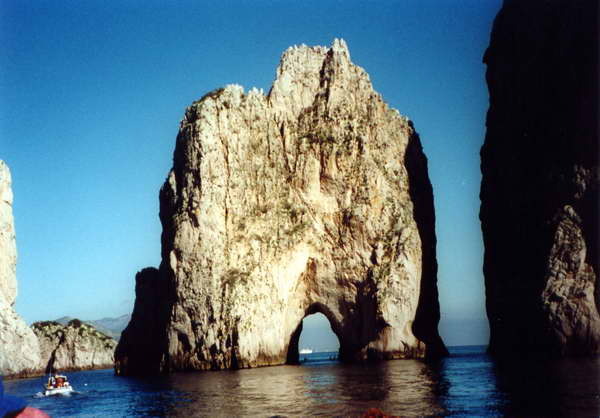 The Green Cave with its lovely emerald colored water, the Faraglioni rocks symbol of Capri, panoramic viewpoint Tragara, the Natural Arch and the White Cave. 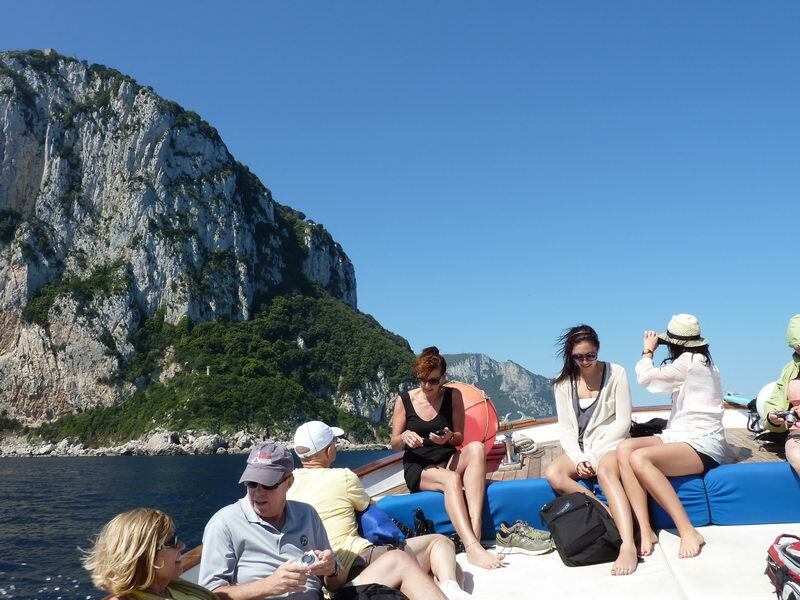 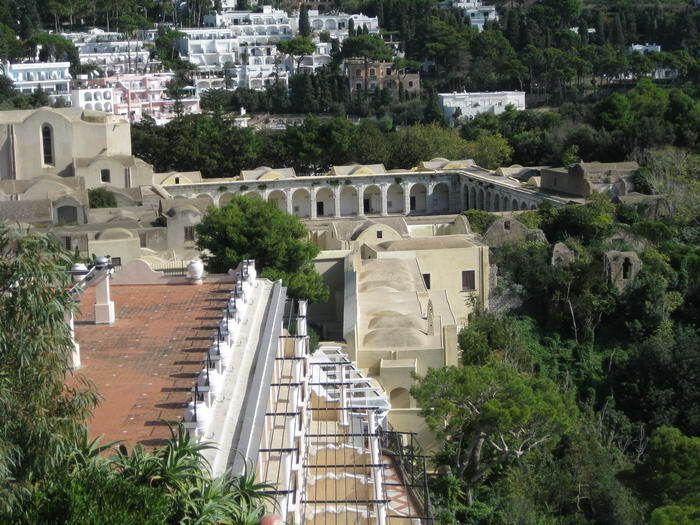 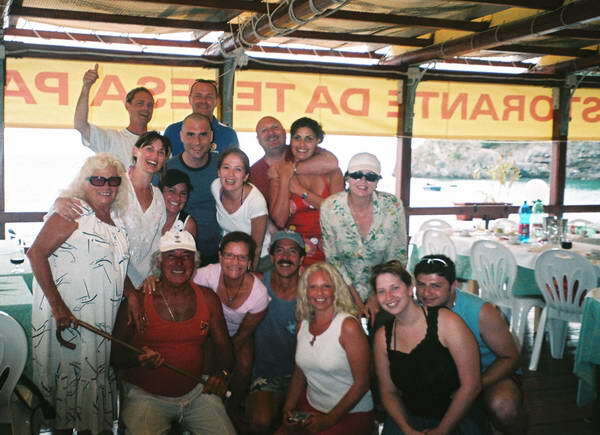 These are just some of the many sites that we can show you as we cruise around the island. 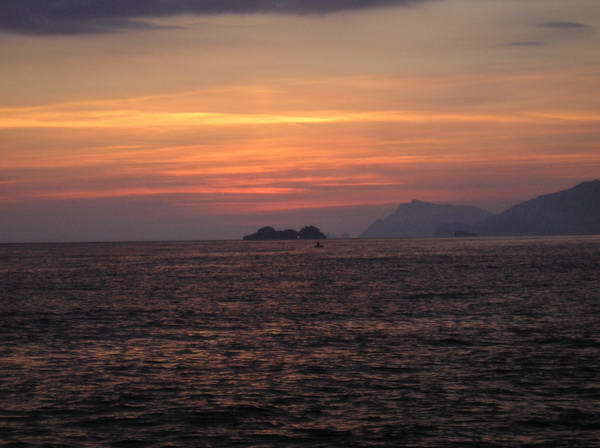 You will also get a chance to visit the island during you free time there. 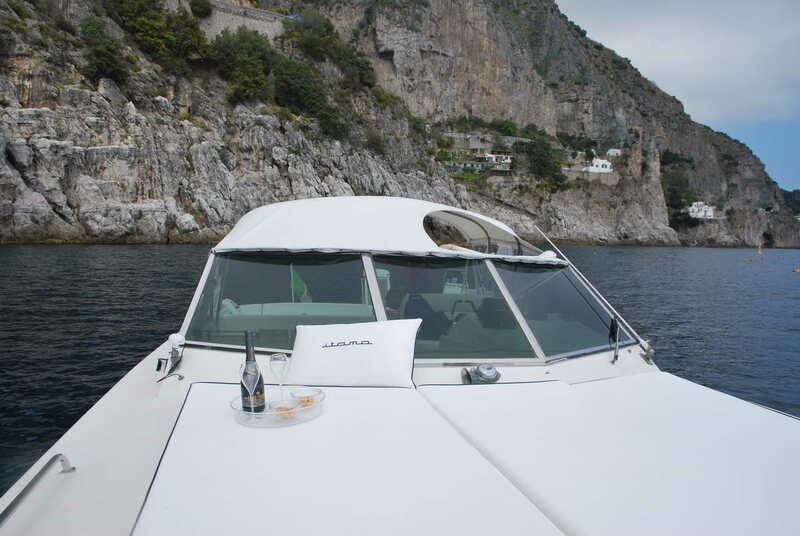 In a panoramic point we will offer you some sparkling wine and snacks. 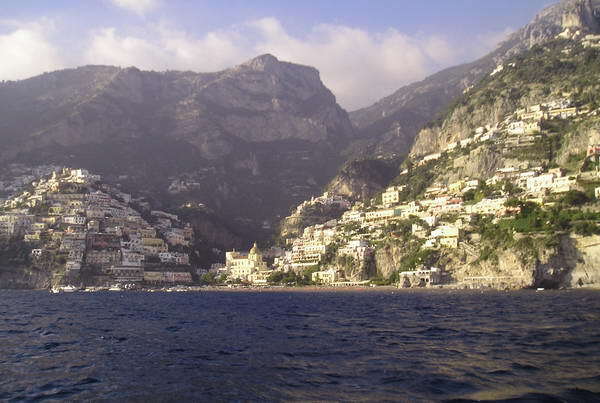 Return to Positano at the time agreed. 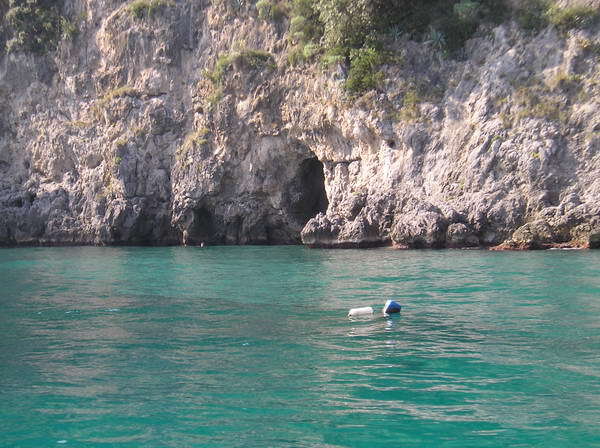 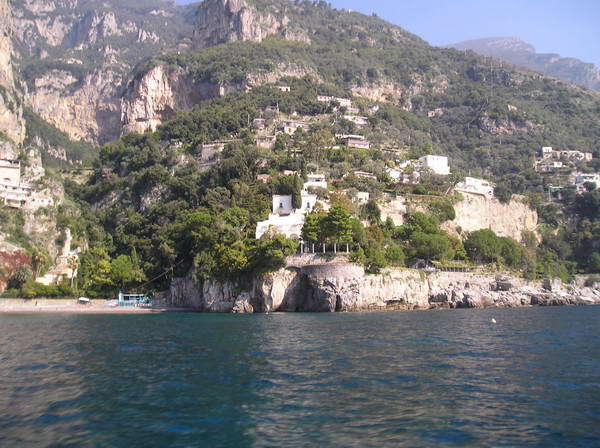 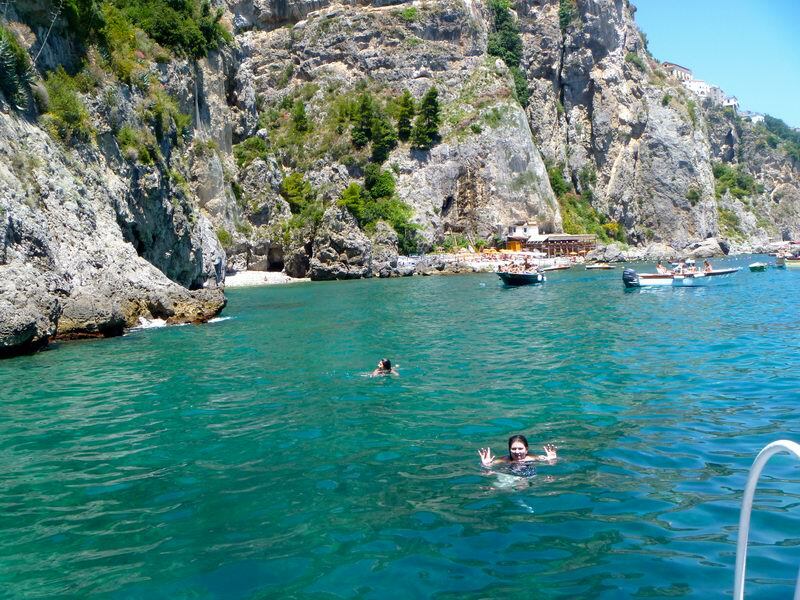 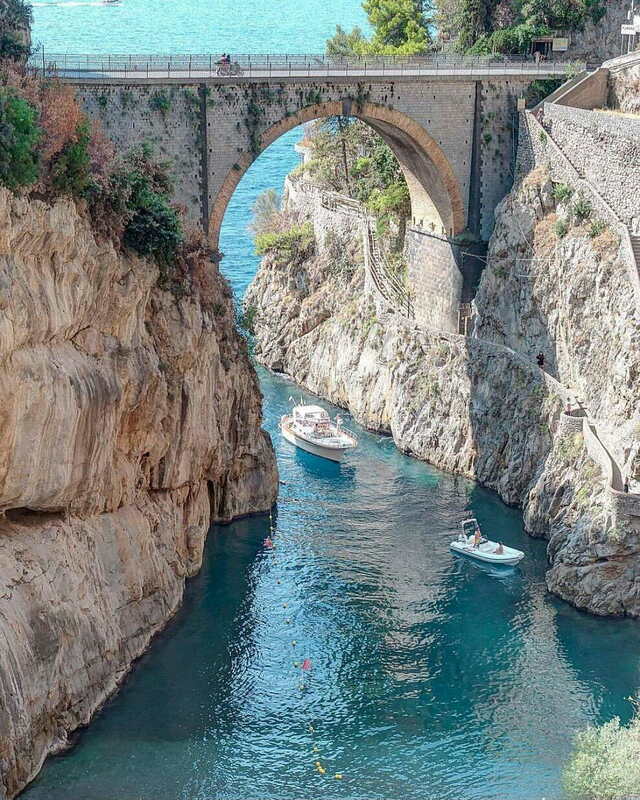 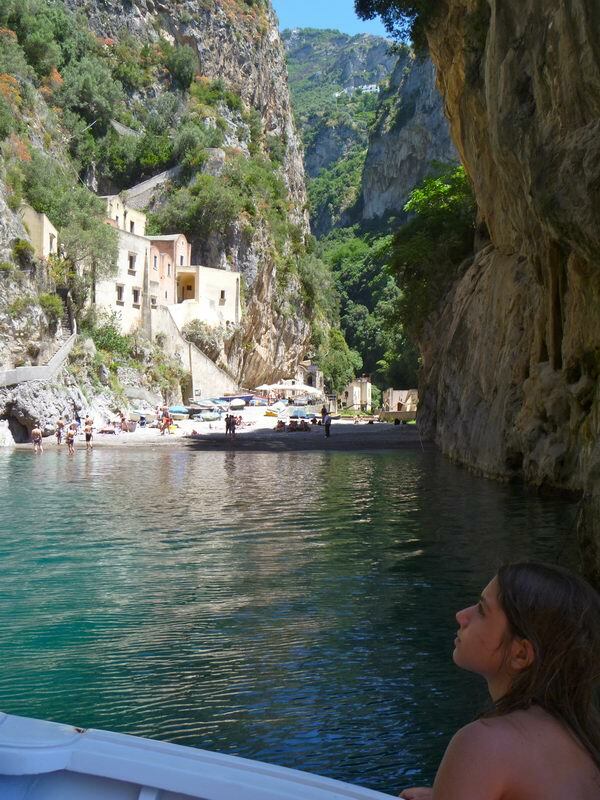 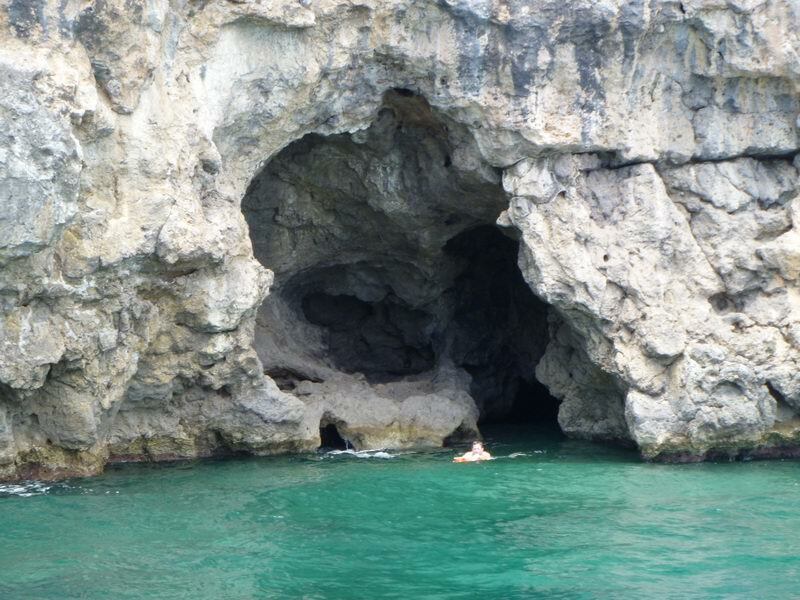 We travel slowly along the lovely Amalfi coast stopping at the most attractive bays for a swim, and admiring all the inlets and grottos some of which are only accessible by swimming. 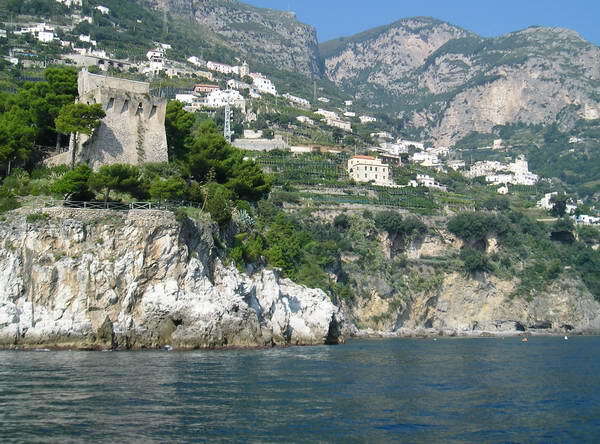 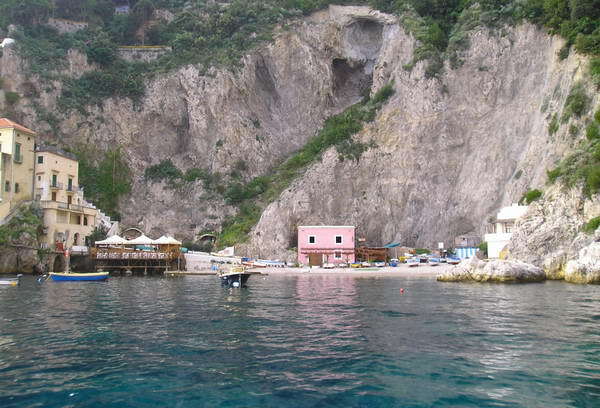 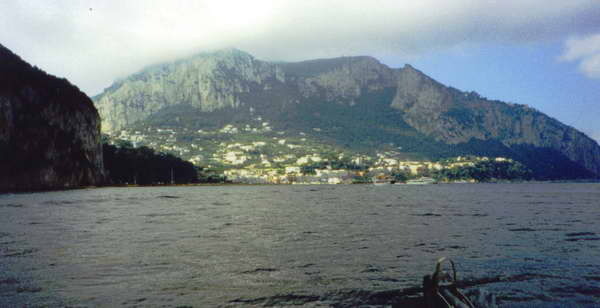 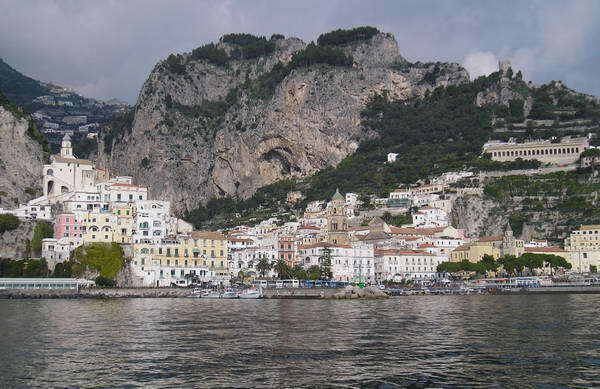 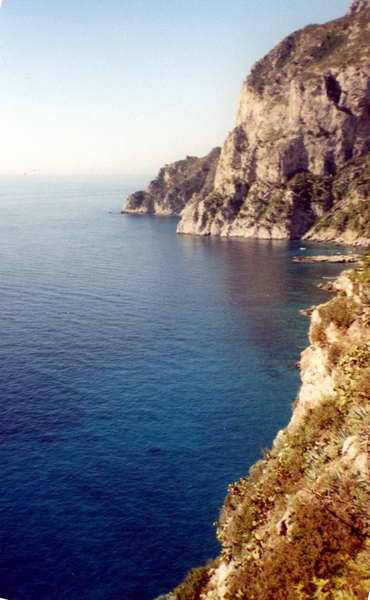 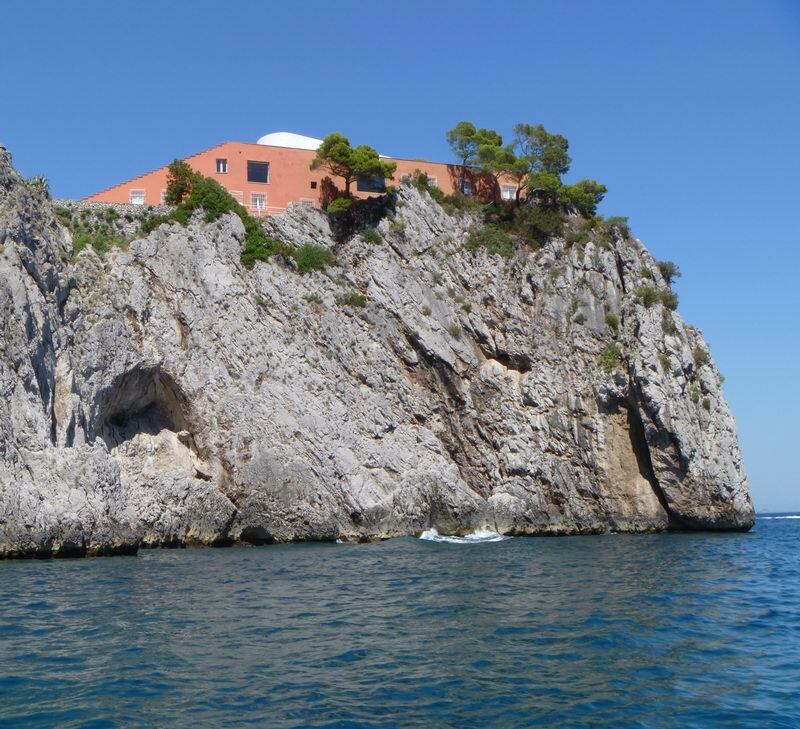 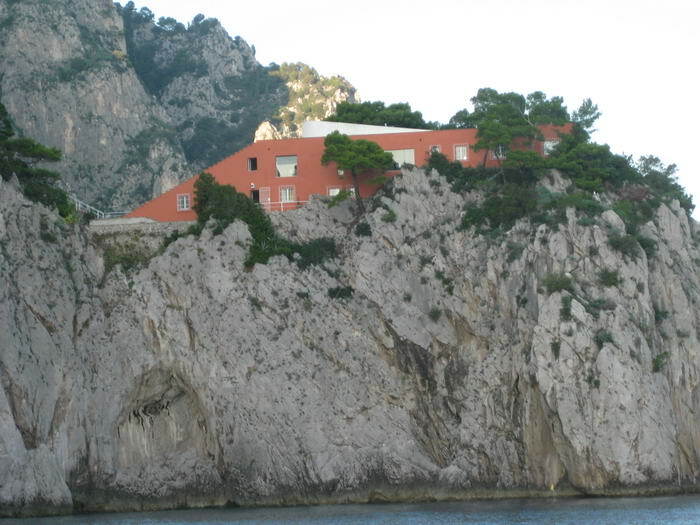 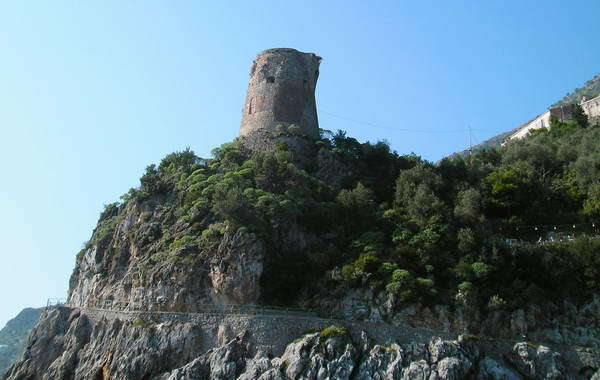 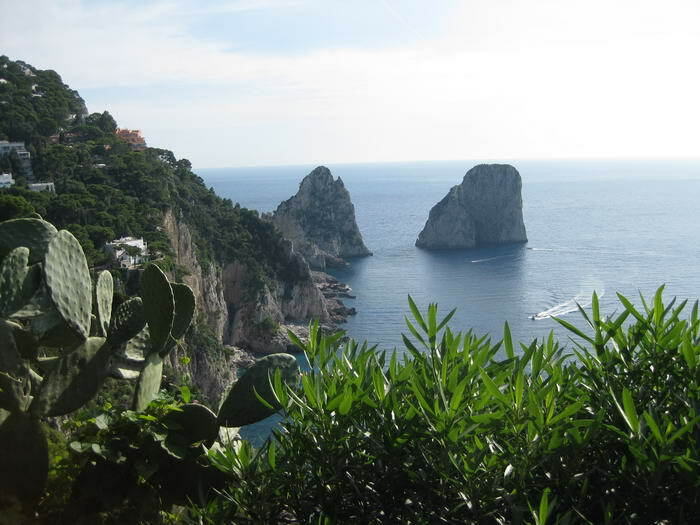 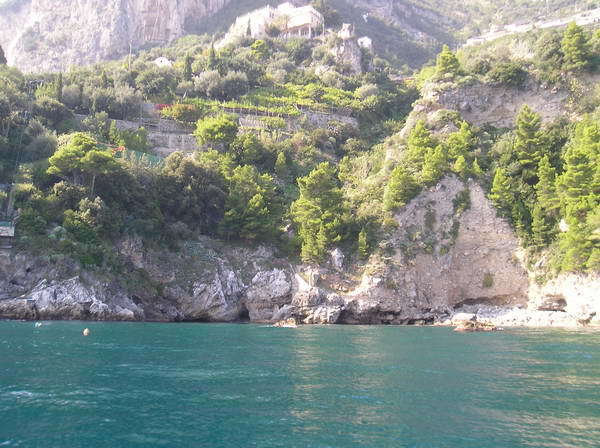 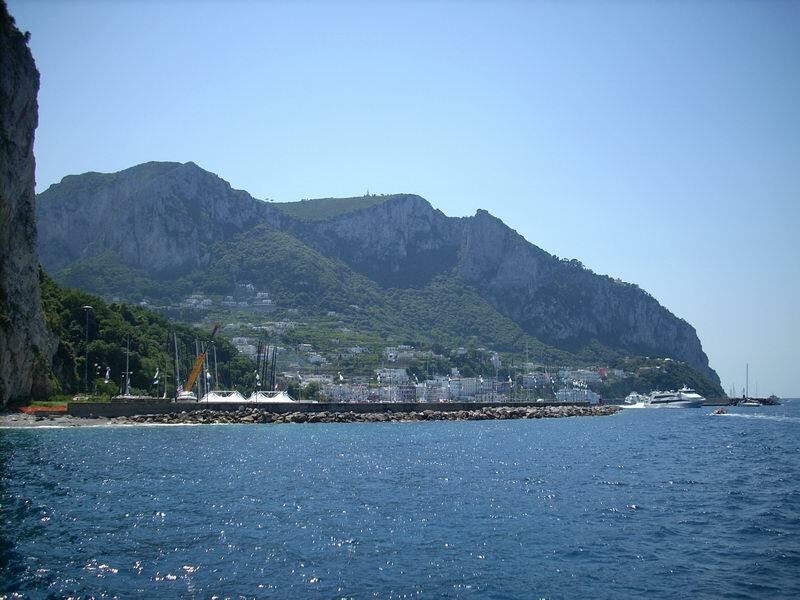 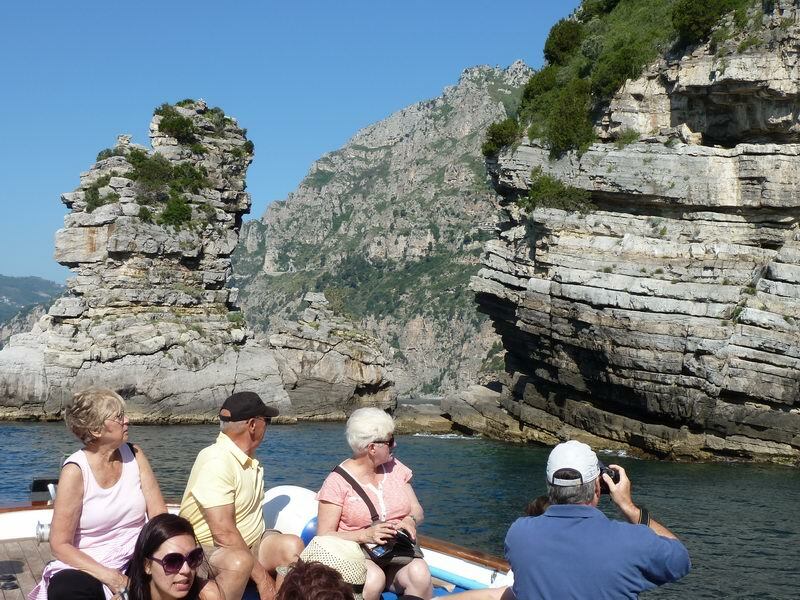 We pass in front of Praiano, the Fiord of Furore, Conca dei Marini where there is the Emerald Grotto (visit if desired), and the ancient maritime republic of Amalfi. 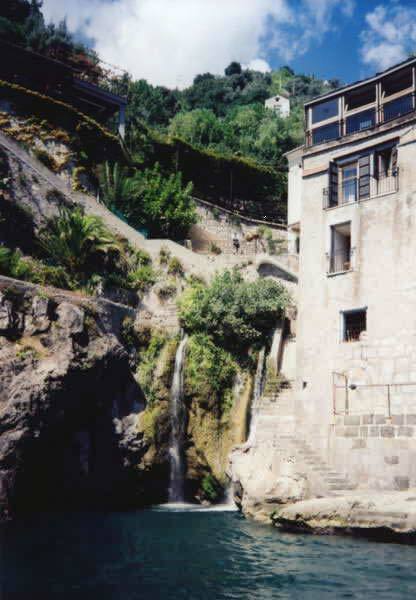 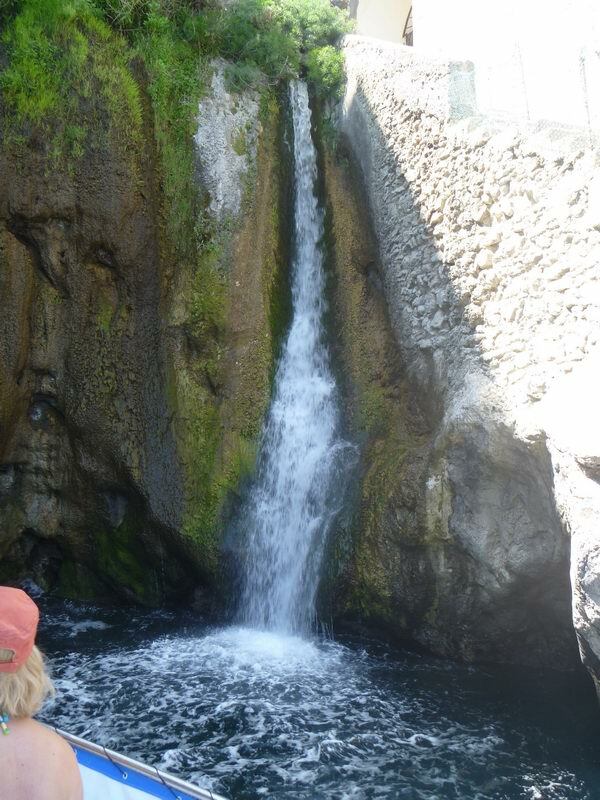 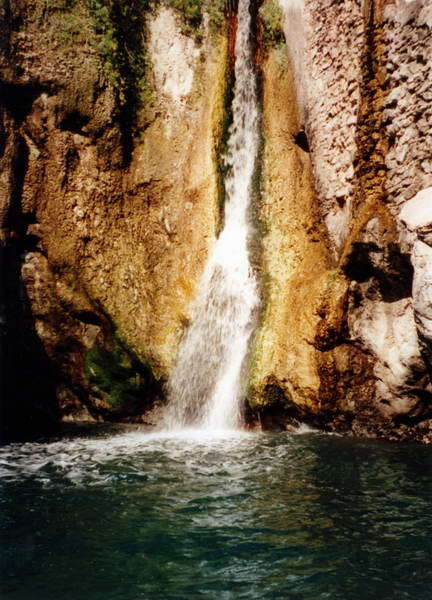 We go on past Amalfi to a small cascade of fresh spring water. 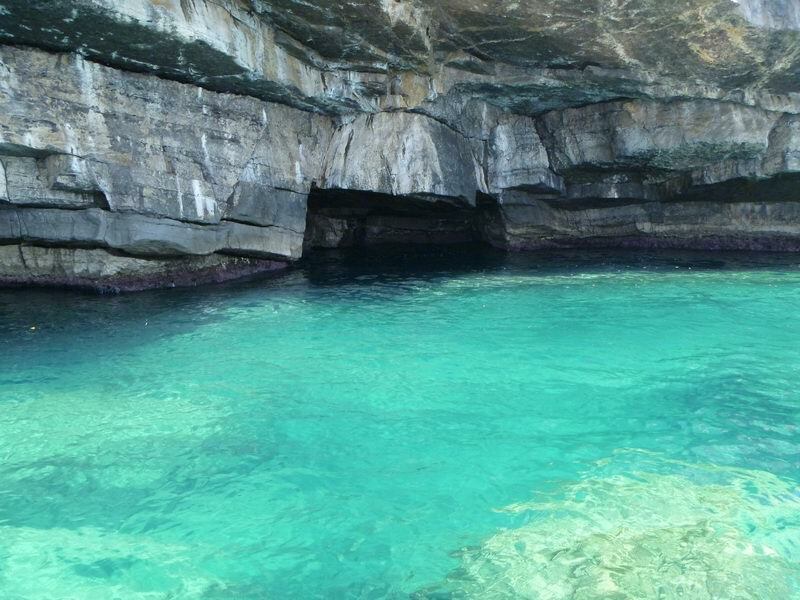 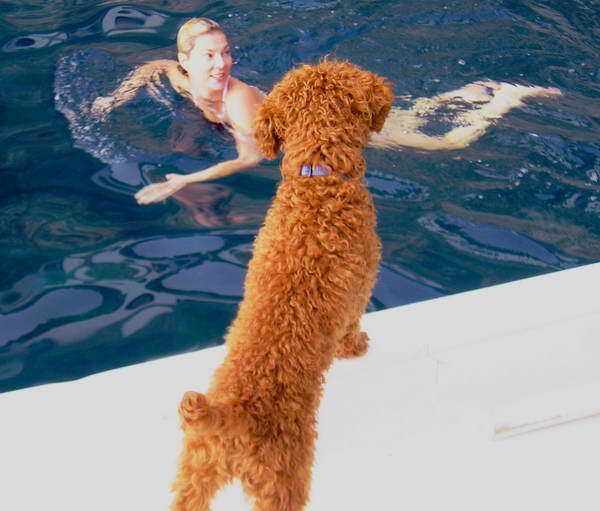 Here you can have a really refreshing swim! 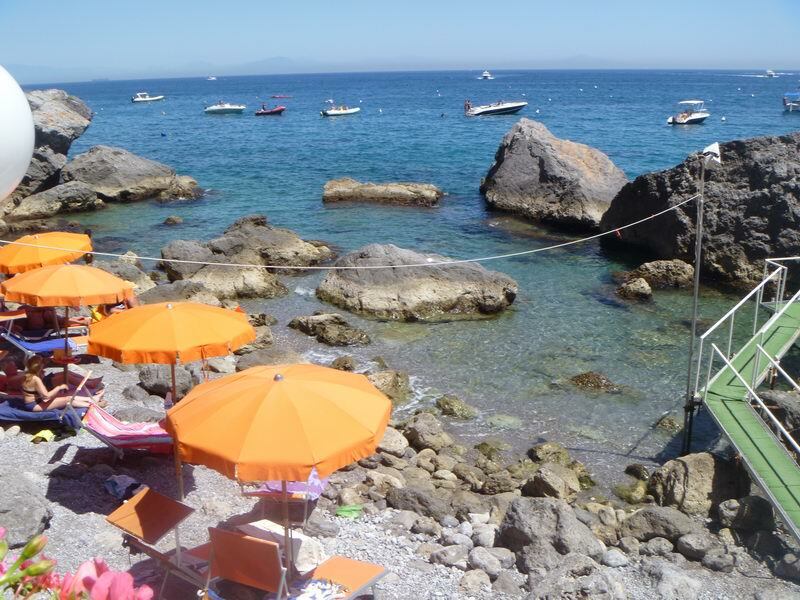 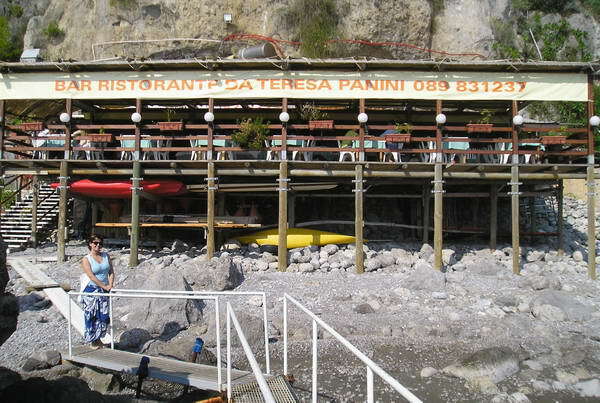 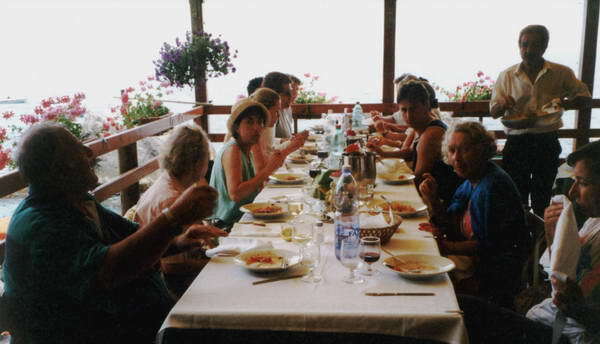 If you like, you can enjoy a memorable lunch on private beach in Conca dei Marini (optional and not included). 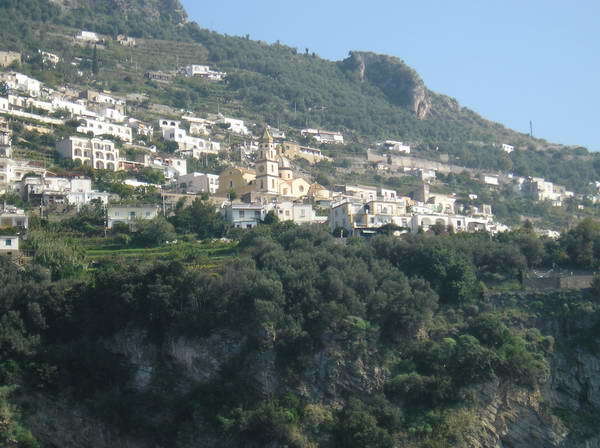 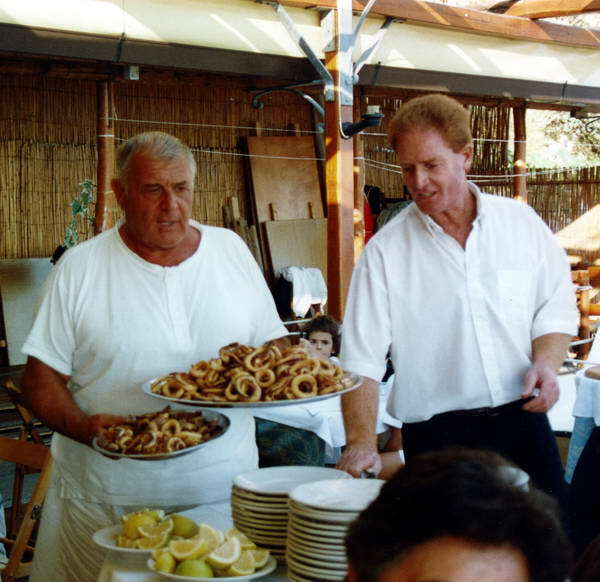 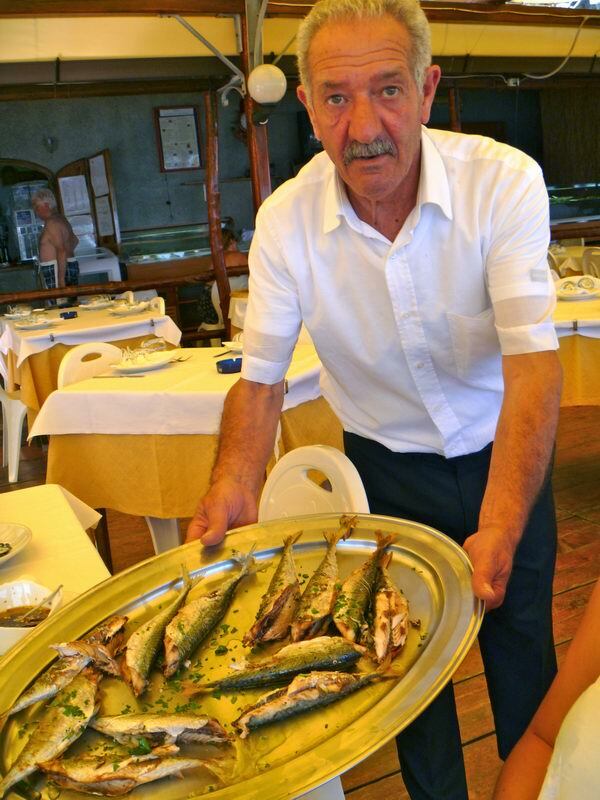 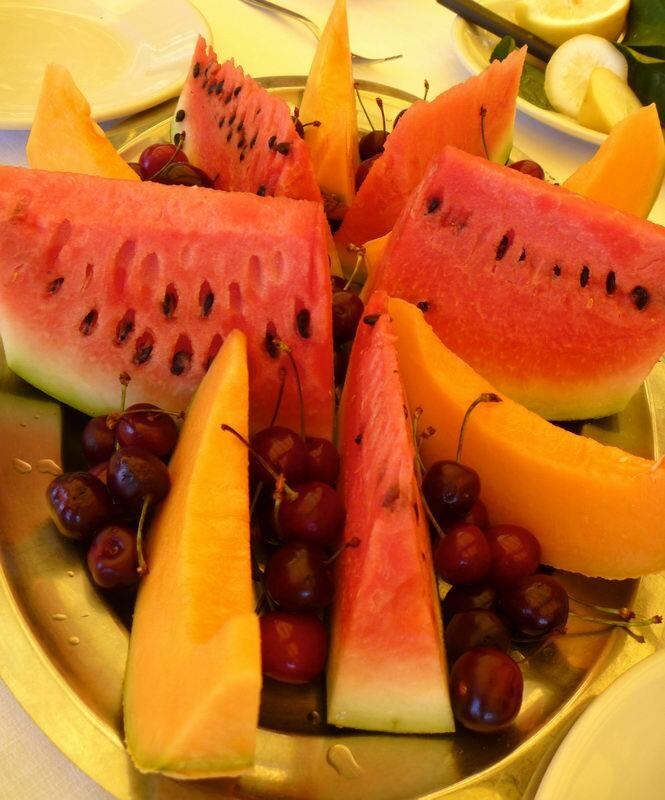 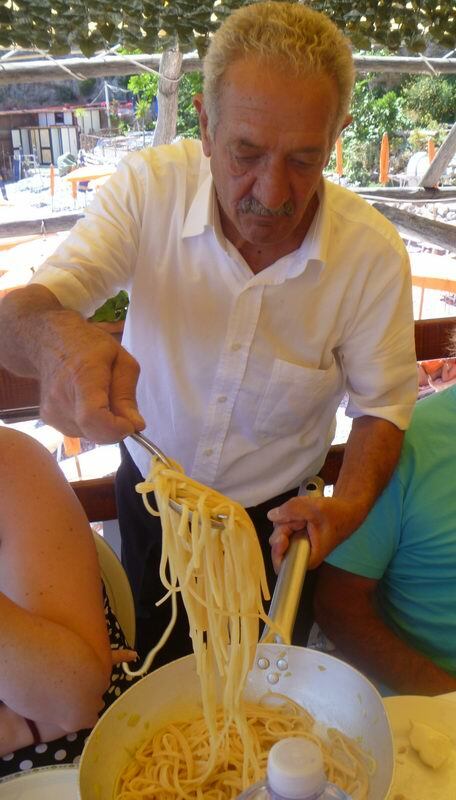 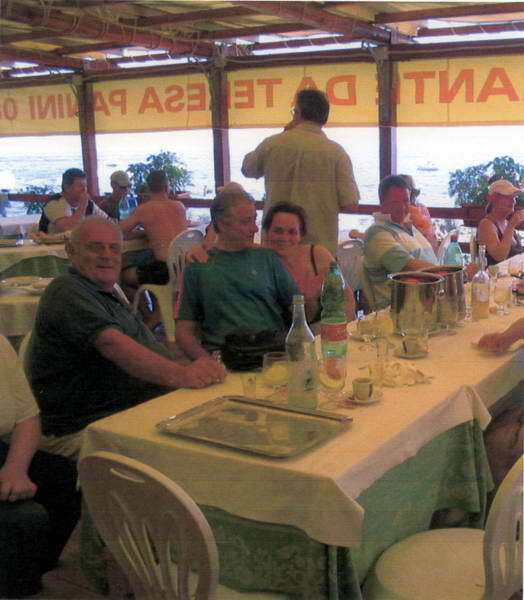 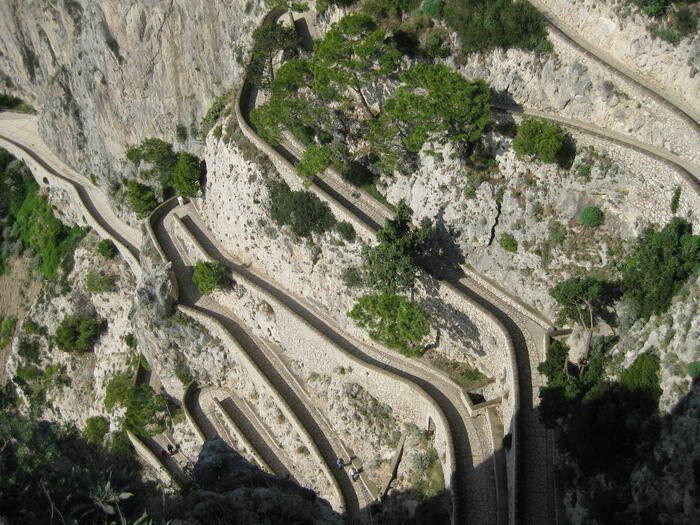 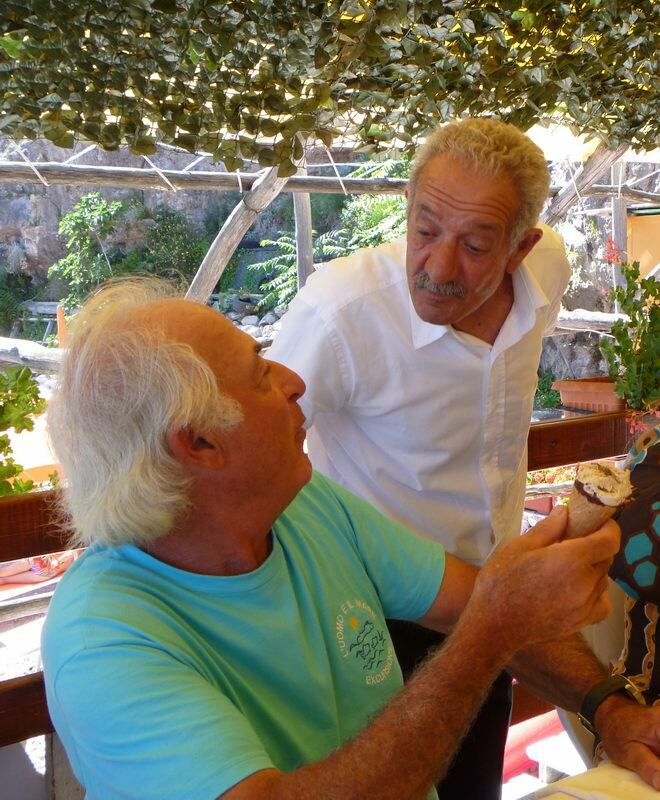 If you don’t want to do the lunch we can drop you off in Amalfi for free time. 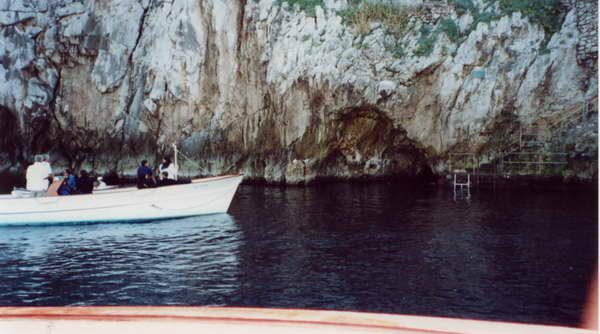 Slow return to the port of embark. 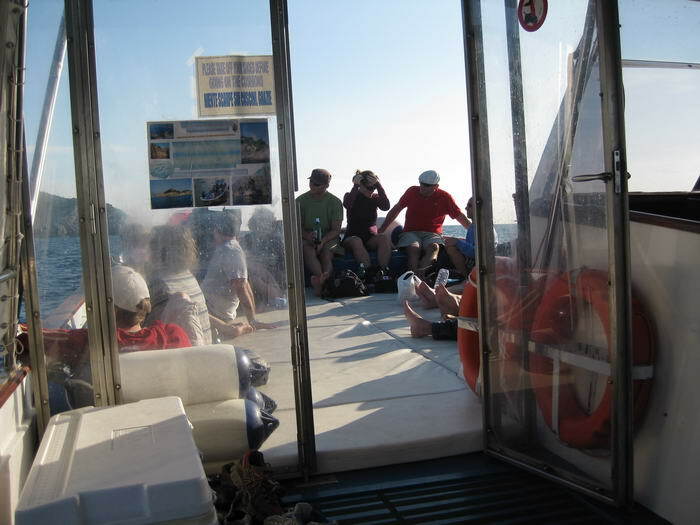 Departure times to be agreed. 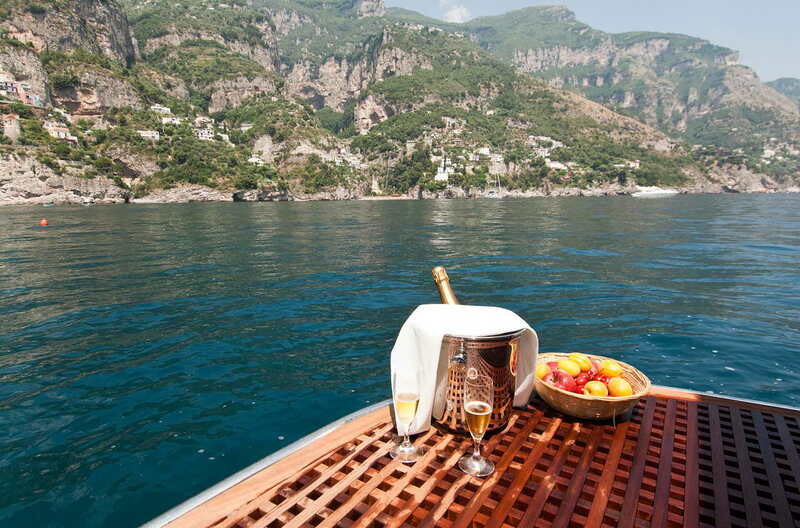 The trip includes: drinks, snacks and use of towels on board. 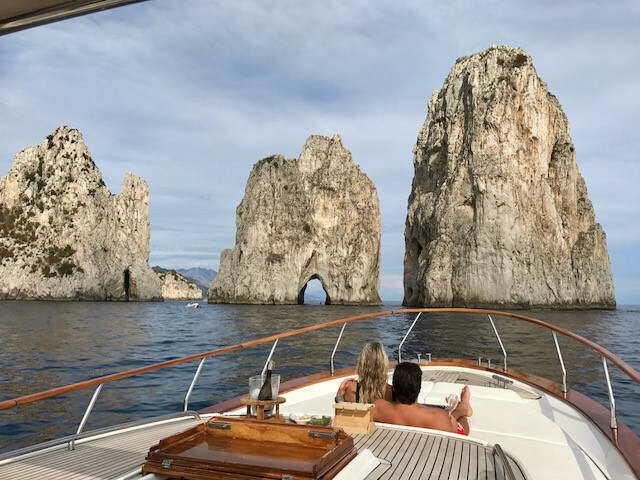 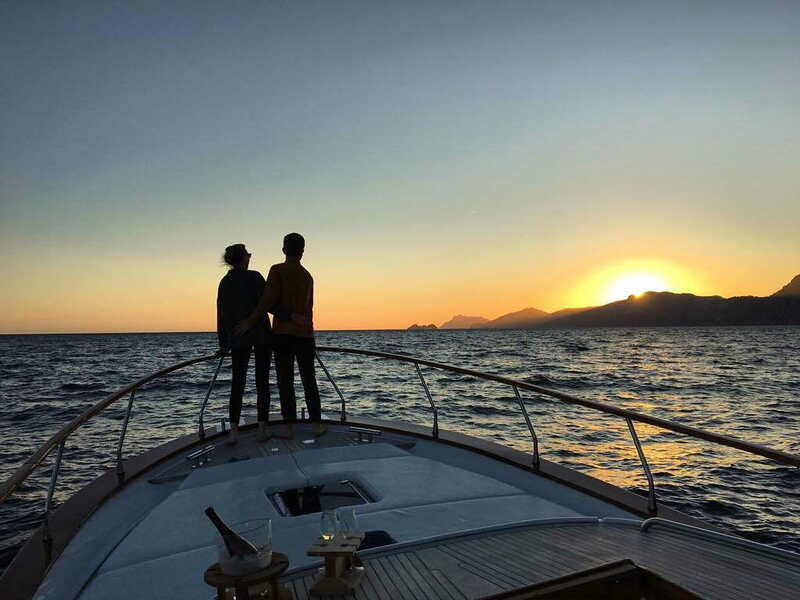 By renting one of our boat you can depart, to discover the most beautiful beaches of the Amalfi Coast, swim in hidden coves, immerse yourself in the fish-rich waters, sunbathe in total relaxation and privacy and return to the port at sunset, inebriating from the colours of the evening sky, or depart for explore the island of Capri. 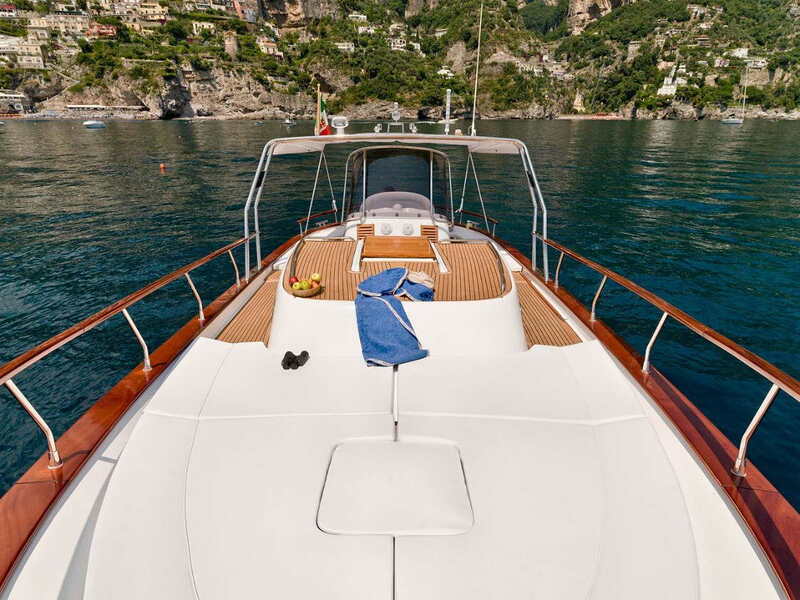 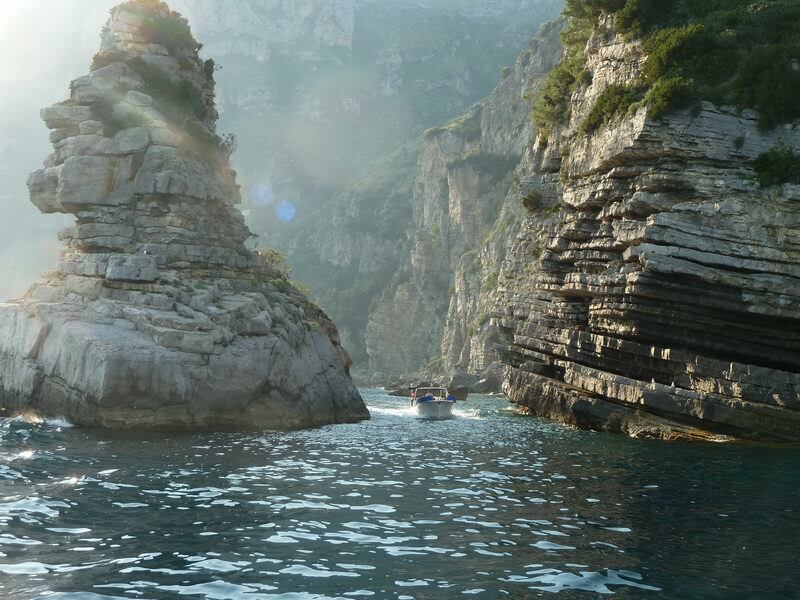 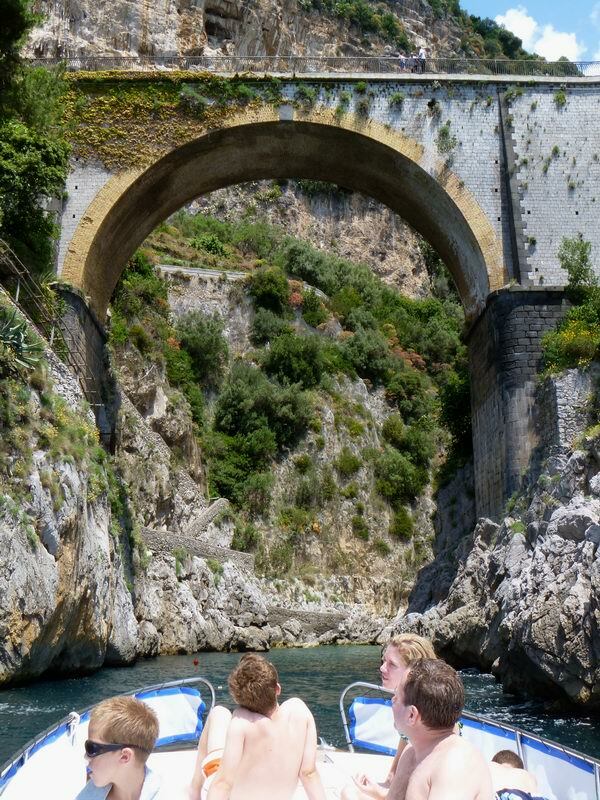 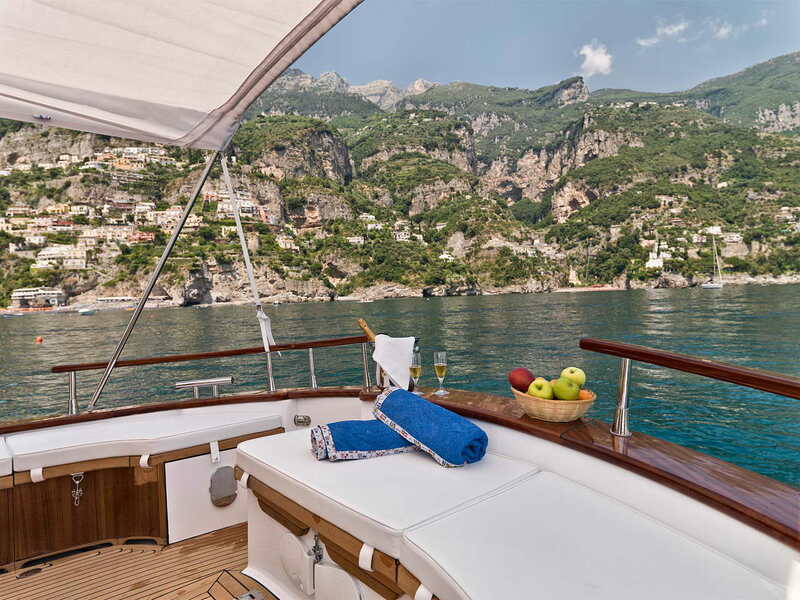 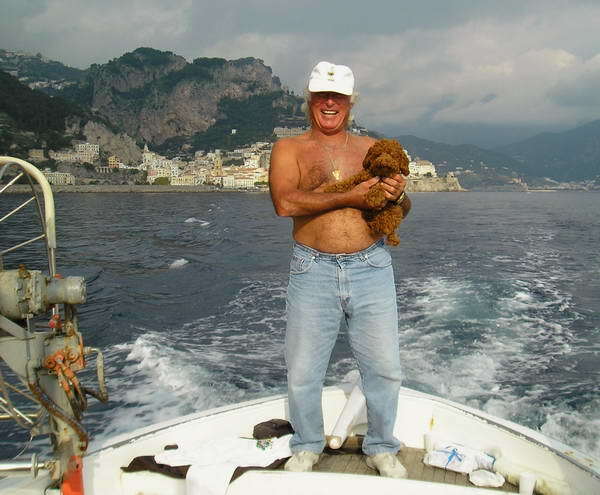 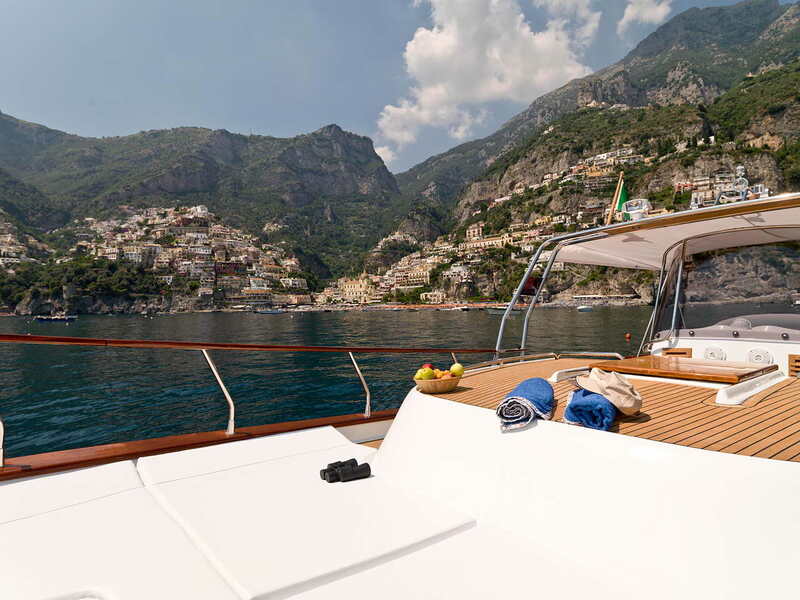 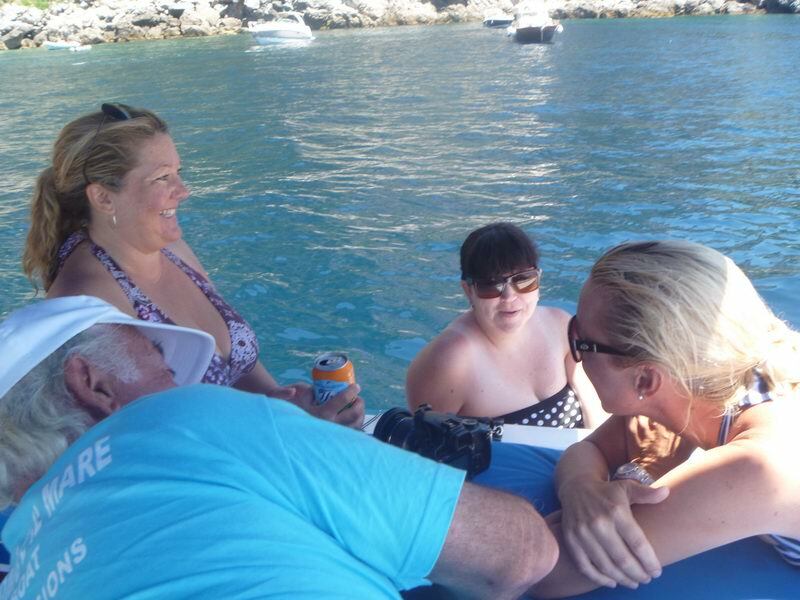 An expert sailor at the helm will lead you to the most panoramic spots of the Amalfi Coast, and will stop in beautiful coves, either for a cooling swim or group shots. 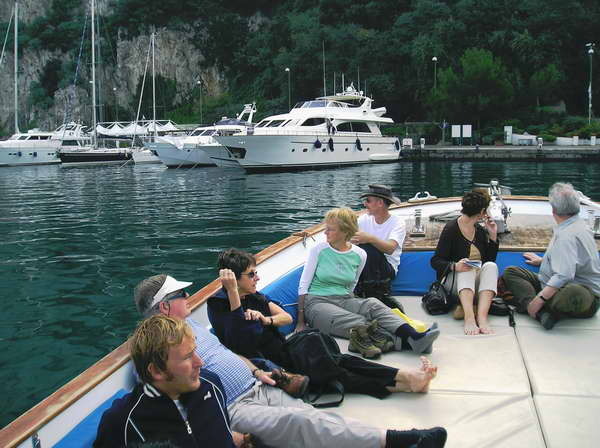 Rent your boat for special services: Celebrations on board, group tours, corporate events, weddings and couple dates, all this and much more! 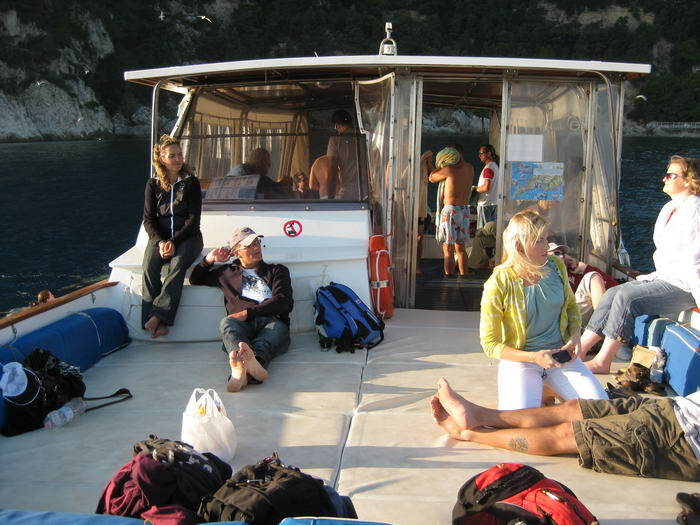 WE ORGANIZE PRIVATE JOURNEYS BY DAY OR BY NIGHT FOR INDIVIDUALS AND GROUPS UP TO 30 PEOPLE AND ALSO PERSONALIZED FISHING TRIPS.